Like most investigatory projects, it started with a serendipitous encounter. 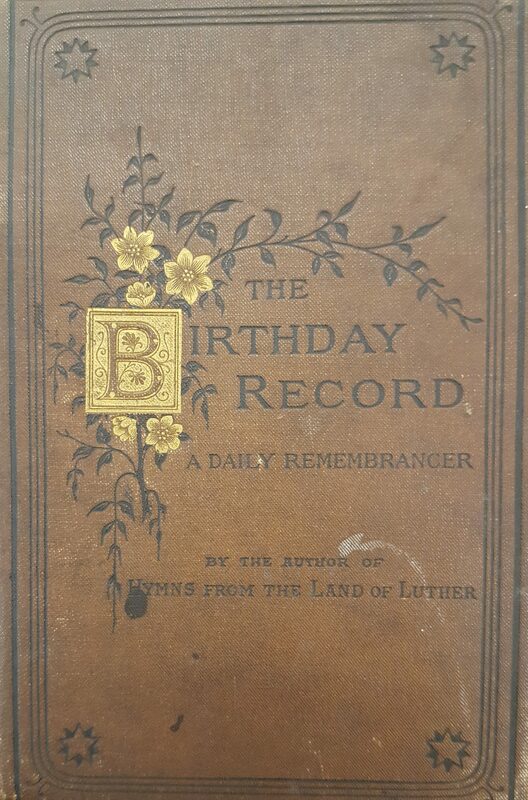 I was using the Janet Powney collection in Special Collections and Archives back in January 2016 as part of my PhD project on Edwardian book inscriptions, when I came across a real gem: a beautiful dark brown cloth pocket book published by Thomas Nelson and Sons in 1879 and entitled The Birthday Record – A Daily Remembrancer. 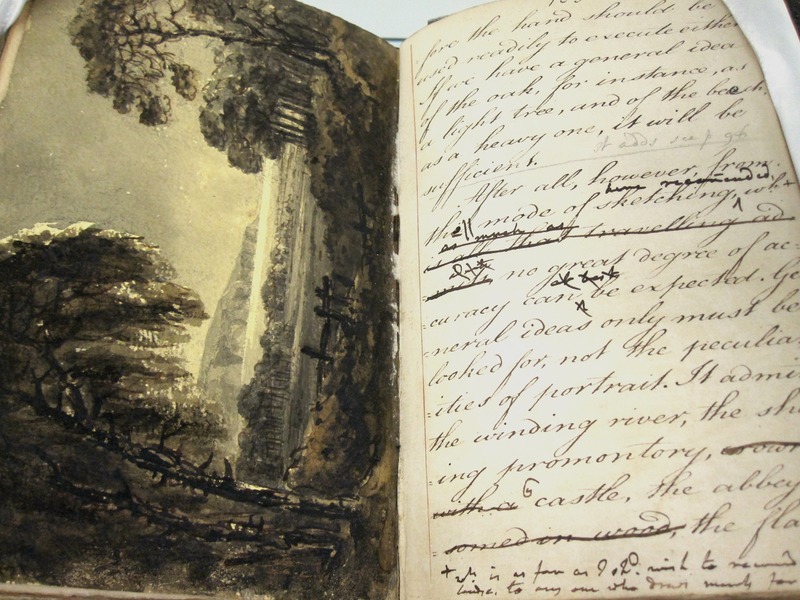 As I opened the book, I came across page after page of fascinating inscriptions, through which the owner had documented key moments in his life, leaving a visible trace of an absent presence that echoes through to modern day. 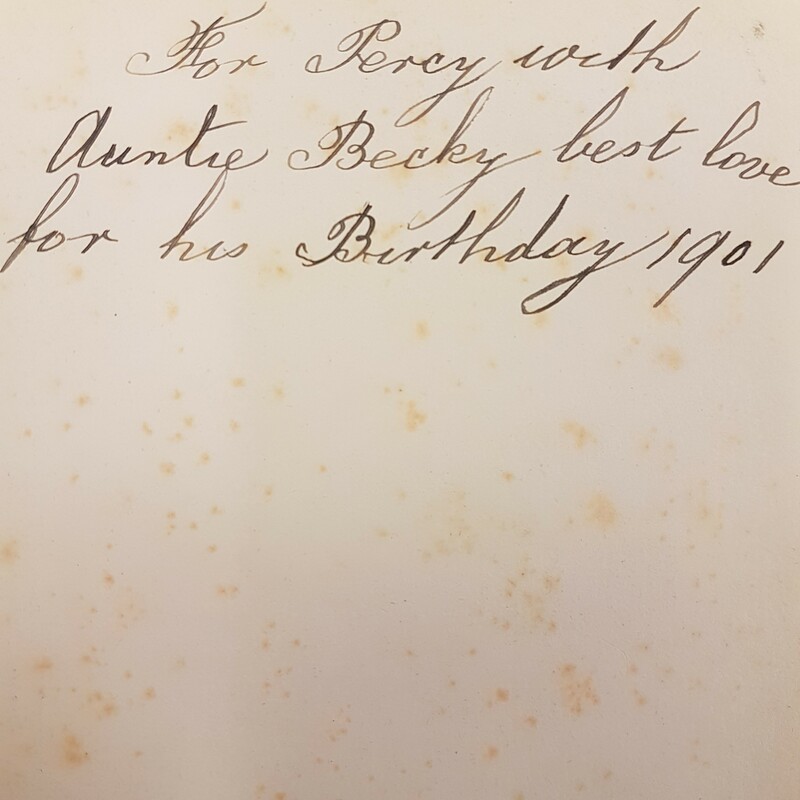 The birthday book was a Victorian invention, which came about in the 1860s as a result of popular interest in graphology and a burgeoning culture of celebrity. 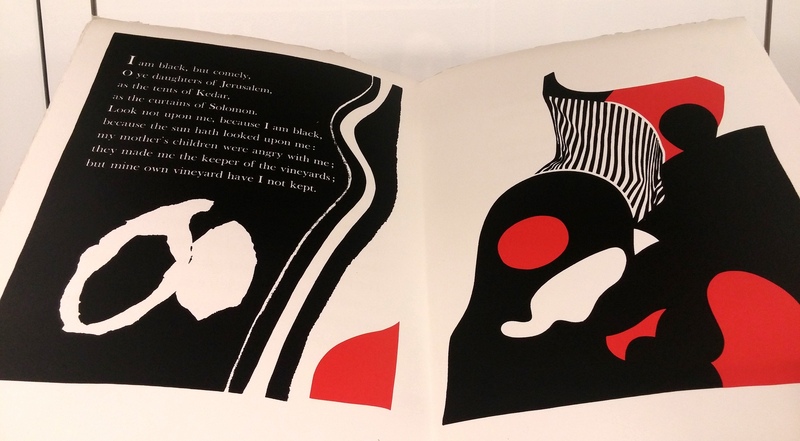 It represented a shift in printed discourse towards a rhetoric of personalisation and intimacy. 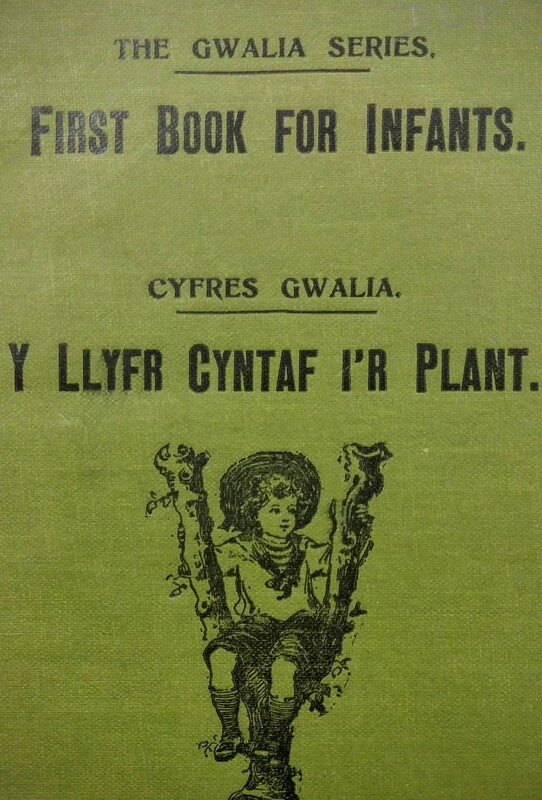 Seen as a status symbol for the increasingly literate population, the birthday book was used typically by middle-class young men and women or working-class ‘new readers’ that aspired to pure and elevated taste. As such, it was available in multiple formats to suit a range of budgets: from octodecimos with embossed cloth and gilt edges (1s 6d) to morocco-bound octavos with ivory rims and clasp (21s). The birthday book was advertised as the perfect gift for a loved one; thus, great attention was paid to its aesthetic appeal. Publishers masked their commercial motive through the use of content that was linked to the moral education and self-improvement promoted in advice manuals of the time. They targeted buyers who were seen as older guardians or mentors, such as parents or elder siblings. 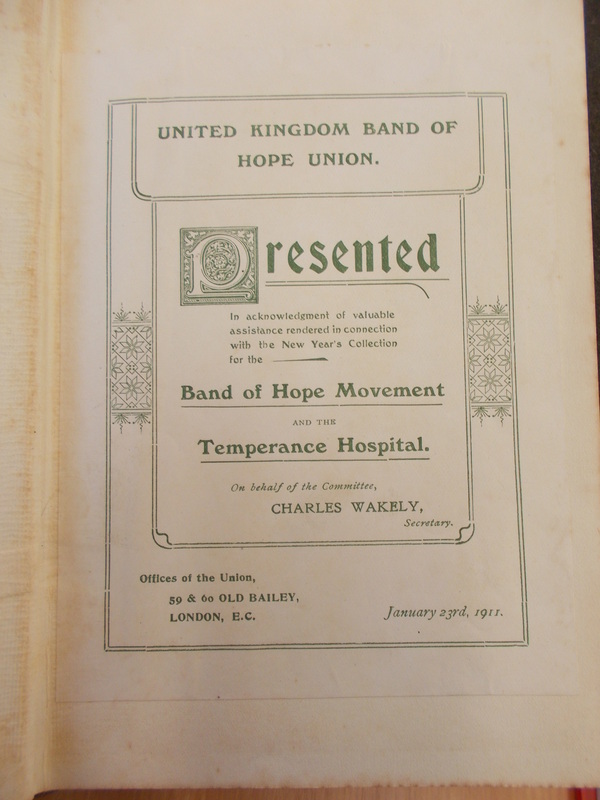 By 1899 over 270 types of birthday book had been published. While many were secular in nature and drew upon canonical figures, such as Tennyson, Shakespeare and Longfellow, religious publishers added culturally legitimating moral messages from sacred authorities to the popular autograph format. “This little volume is intended, as the title shows, to be used as a daily scripture textbook; and also to contain a record, on the blank pages, of birthdays, or days on which friends desire to be specially remembered and prayed for. The same pages may be employed to note down personal anniversaries, days of joys and sorrow, trials and deliverances. (…) The plan adopted by the editor had been to choose for each day a verse containing some precept or exhortation to duty, direct or implied, with others of corresponding prayer or pious resolution. This arrangement, it is believed, will offer profitable associations with special anniversaries, and also tests for self-examination on their annual return” (iii-iv). The Birthday Record was given to Richard J. 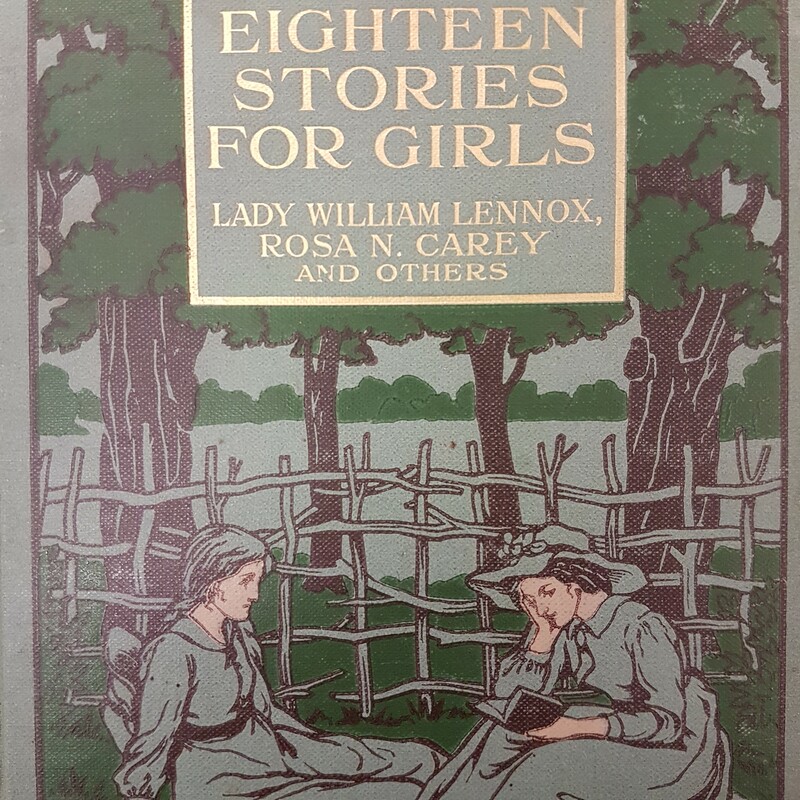 Keen by his sisters on January 14th 1881 for his 19th birthday. Sitting on the cusp between upper-working class and lower-middle class, Richard was the characteristic target of a birthday book at this time. Richard was born in 1862 in Pimlico, London, and lived with his mother and father (a coachman for Baron de Worms, a Conservative politician) and three sisters (Harriet, Alice and Caroline) in a two-bedroom house in Eaton Square. 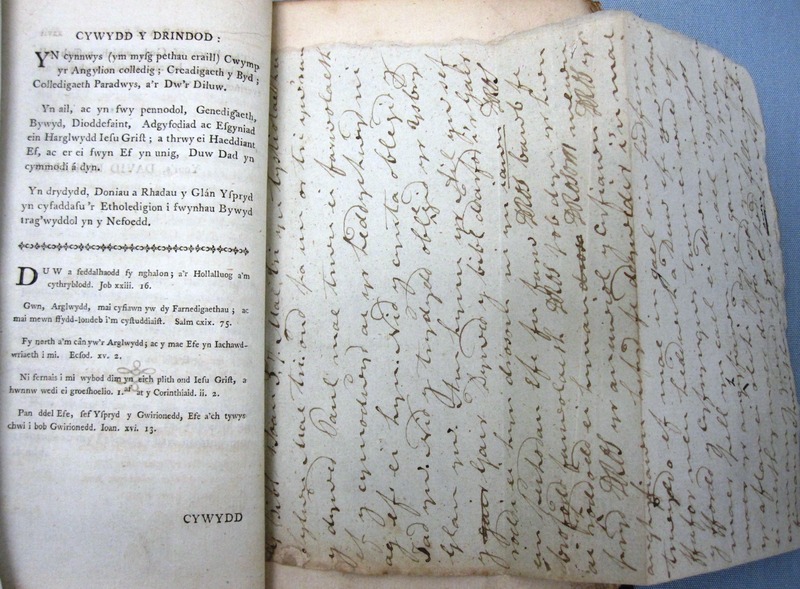 The inscriptions within the book show that Richard engaged with it actively throughout his entire life. Through the collection of signatures, the birthday book acted as a tool for social networking. 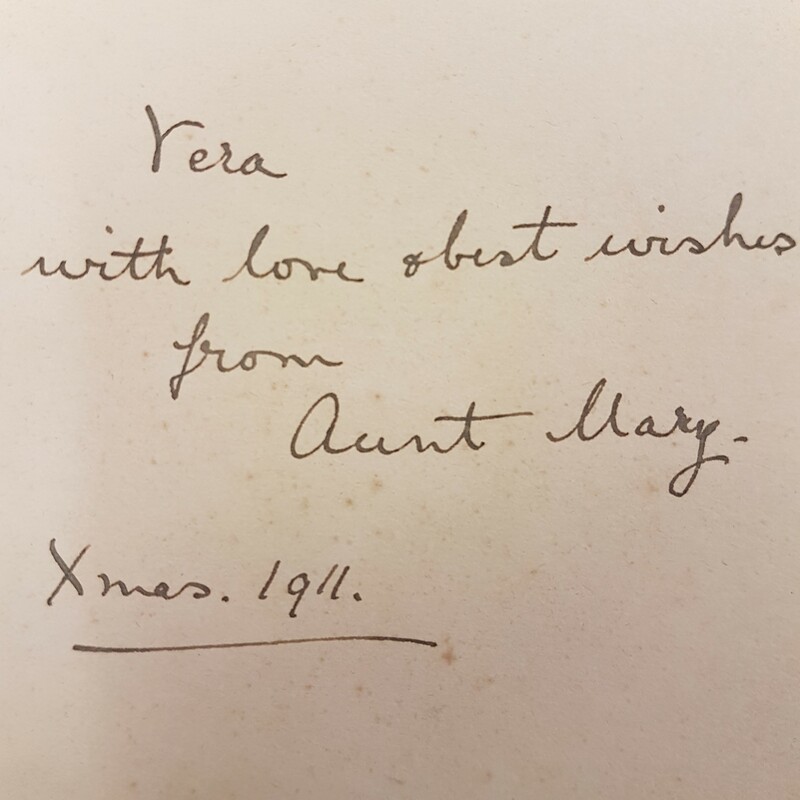 In religious birthday books, this social function was particularly enhanced, as the combination of holy text and handwritten names reinforced the owner’s desire to pray for their family and friends. 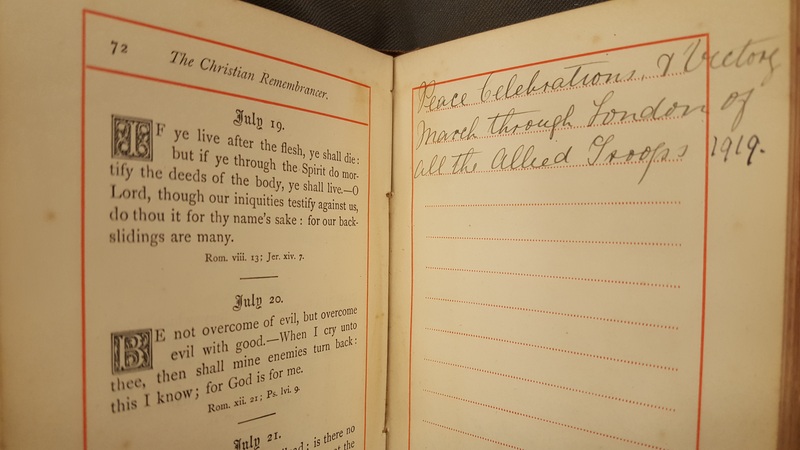 By combining secular trends for autograph-collecting with devotional practices, the religious birthday book became an integral part of Victorian faith. 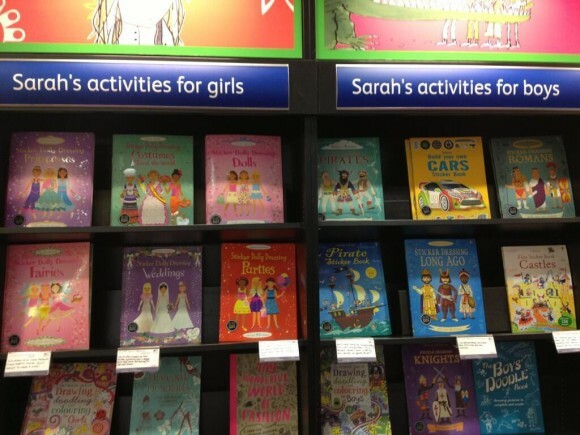 However, in Richard’s book, this does not appear to be the case. All entries are written solely by the owner, suggesting that limited engagement took place between recording information and practising religion. Furthermore, the opposition of printed scriptural texts and contemporary autographs is respected, as pages with religious texts are kept clean and unannotated. This reflects an acceptance of the hierarchical division between the two aspects of the book, which bestows it with new introspective, subjective and solipsistic purposes. 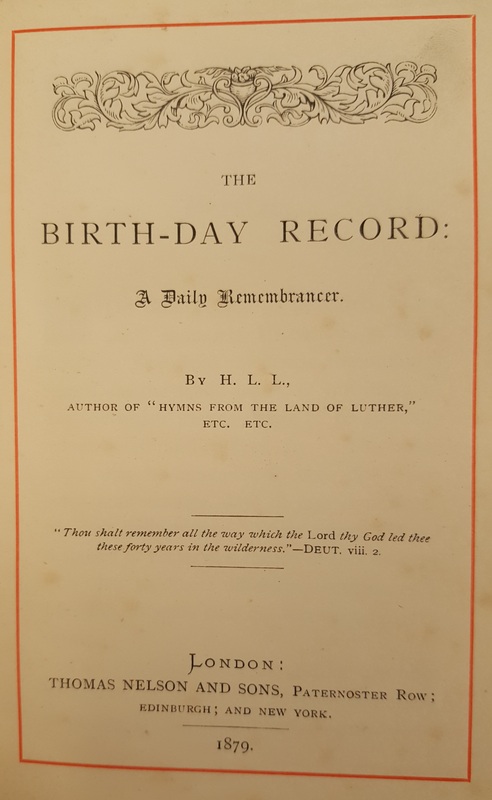 From the mere fact of simply containing the holy word, the religious birthday book required more respect and obedience from its users than its secular counterpart. This meant that there were restricted opportunities for self-expression, which can be seen in The Birthday Record, as most entries consist solely of a name and date. The handwriting in all examples is deliberate and self-consciously neat, and throughout the book, no examples of spelling mistakes or crossing-outs are present. 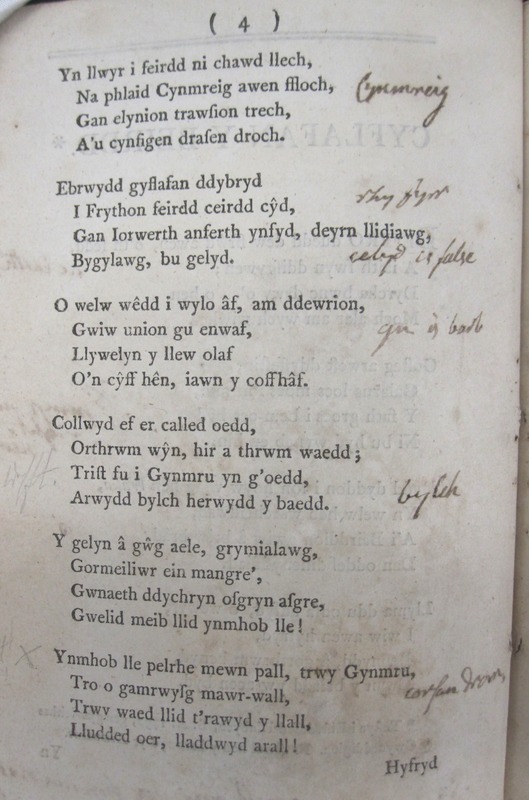 On the few occasions when entries have been written in the wrong section, a very small and indiscreet mark is noted next to them rather than risk defacing the book. The book contains just two variations in format: newspaper clippings and a feather. 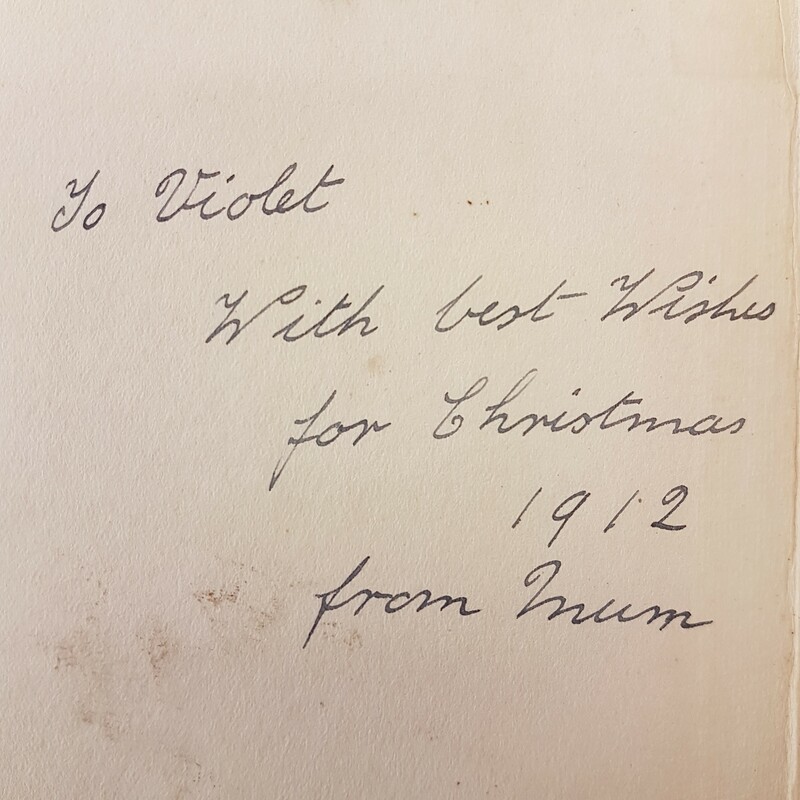 Two newspaper clippings recording the death of Richard’s father in 1886 are glued onto December 3rd, while a white bird’s feather on which To Mrs Whitty is written is enclosed loosely within the leaves of the book. When I first looked through The Birthday Record, I wrongly assumed that Richard was the sole proprietor. 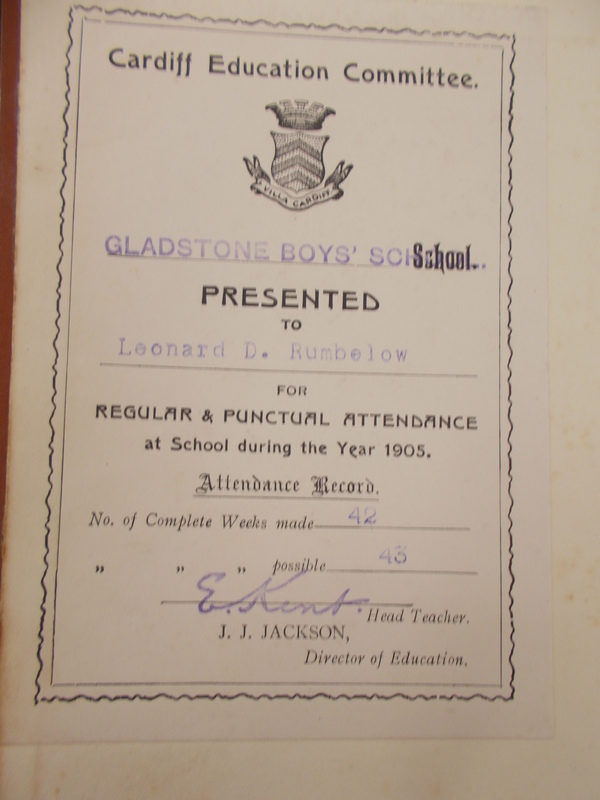 However, I was left with a mystery on my hands when census records revealed that Richard died a bachelor in 1904, yet the book continues to be used up until 1953. Piecing together the other entries, it became apparent that the book was passed down to his youngest sister, Caroline, who would continue to update it until her death in 1942. Caroline was born in 1864 and married Thomas James Whitty, a policeman, in 1888. They lived in Thorrington, Essex, and had four children together, of which only three survived – Violet, Henrietta Amy and Doris Evelyn. After Caroline’s death, the book is only updated twice more on November 2nd 1950 and 27th April 1953, marking the births of Colin Hayes and Nigel Hayes respectively. 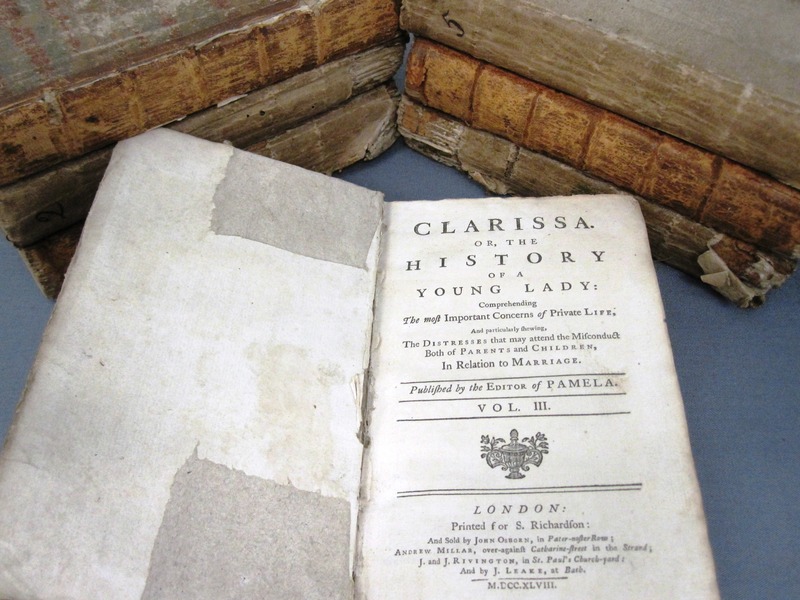 Although the third owner cannot be traced due to the fact that census records are only released after a one-hundred-year closure period, it is possible that the book was passed down to one of Caroline’s children upon her death. This indicates that while the book was still being used predominantly for its established function of recording birthdays, both Richard and Caroline appropriated it to record other information. Using the birthday book to memorialise the dead, commemorate marriages and mark important global events shows the owners’ awareness of a web of connection between themselves and the wider reading context, and the movement of the birthday book between public and private domains. By turning the book into a record of individual and familial identity, it offers a variation on the tradition of using Bible endpapers to record such information. As censuses were only carried out every ten years, the birthday book is an essential resource for investigating the years in between. The Birthday Record, for example, can be used to trace Richard’s professional career. 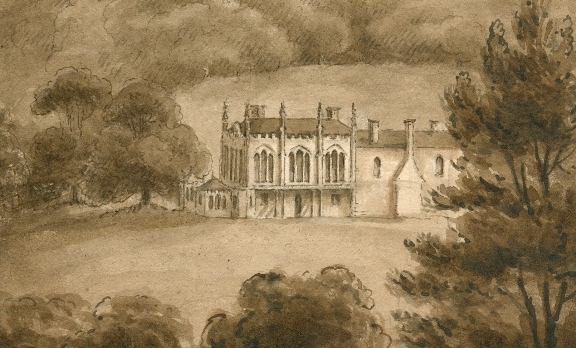 Despite not receiving the birthday book until 1881, on March 17th Richard writes, “Went to Montreal Oaks 1877.” Montreal Oaks was a stately home in Sevenoaks, Kent, owned by the Honourable Hugh Amherst. Richard’s first job at 15 years old was working there as a footman. We know from the birthday book that he left in April 1st 1881 and shortly after, moved to Belsay Castle in Newcastle-Upon-Tyne where he continued to work as a footman from May 27th 1881 to March 11th 1884 for Sir Arthur Edward Middleton, M.P., 7th Baronet. Just over a year later on May 9th 1885, Richard obtained a new job as a butler for Lady Dashwood of West Wycombe Park in Buckinghamshire, where he remained until April 1st 1886. On October 5th of the same year, he entered into the services of Robert Porter Wilson at Cumberland Terrace in St. Pancras. By the 1891 census, Richard is still working as a butler in Cumberland Terrace, but this time for the coal magnate John Lambert. Various entries in the birthday book suggest that Richard kept in touch with many of his previous employers. He marks Amherst’s wedding on January 2nd 1896, as well as the birthday (April 26th) and death (February 13th 1904) of Wilson – the latter being the last scribal act that Richard was to carry out before his own death later the same year. The fact that Richard’s father worked as a coachman for a Baron for twenty-six years may explain how Richard ended up working for so many noblemen and women across England. The recurrence of certain surnames throughout the book can also reveal information about Richard and Caroline’s social networks. For example, with 32 individual entries, Whitty is the surname that most frequently occurs throughout the book. While this is to be expected given that Caroline married into the Whitty family, census records indicate that their younger sister, Alice, also married a Whitty – George, the brother of Caroline’s husband, Thomas James. The frequency of entries and terms of endearment made relating to Alice and her four children (Gertrude Carrie Alice, Winifred Lottie, Ida Gwendoline and Reginald George Hedworth) suggest a close relationship between Richard and his elder sister. Other surnames to frequently occur throughout the book are Owen (12 entries), Keen (9 entries), Lord (8 entries) and Hall (4 entries). Census records show that Caroline’s daughter, Violet, married Wilfred Owen, whereas Richard’s eldest sister, Harriet, married Thomas Hall, whose cousins were Lords. There are 62 other surnames that occur just once or twice throughout the birthday book, which demonstrates the wide social circle of family, friends and acquaintances that both Richard and Caroline had. 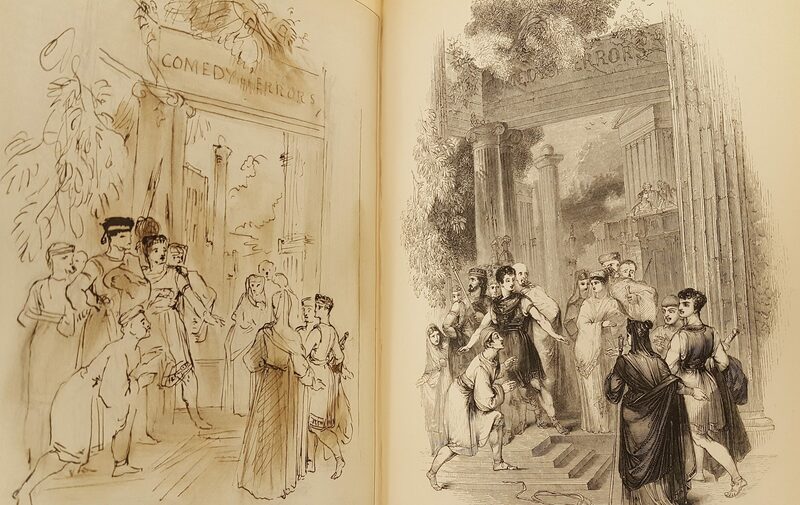 Reading Andrew Prescott’s excellent blog post on 19th century Shakespeare editions, ‘Why every copy of a book is different’, inspired me to find out more about our extra-illustrated set of Charles Knight’s Pictorial edition of the works of Shakspere (1839-43). 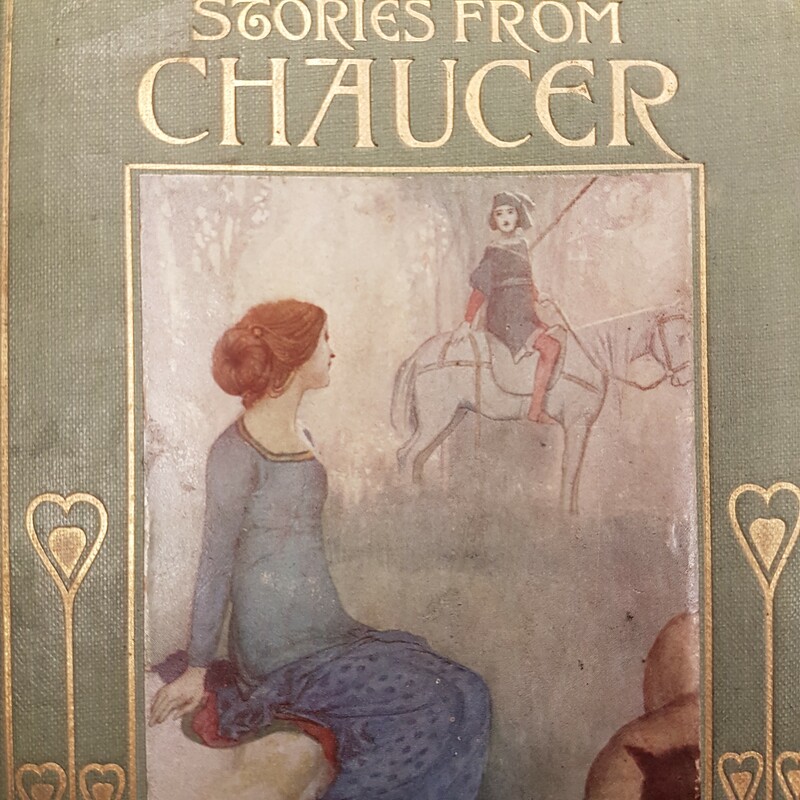 Special Collections’ extra-illustrated set of Charles Knight’s Pictorial Shakspere, enlarged from 8 to 15 volumes with the addition of almost 1,500 engravings. 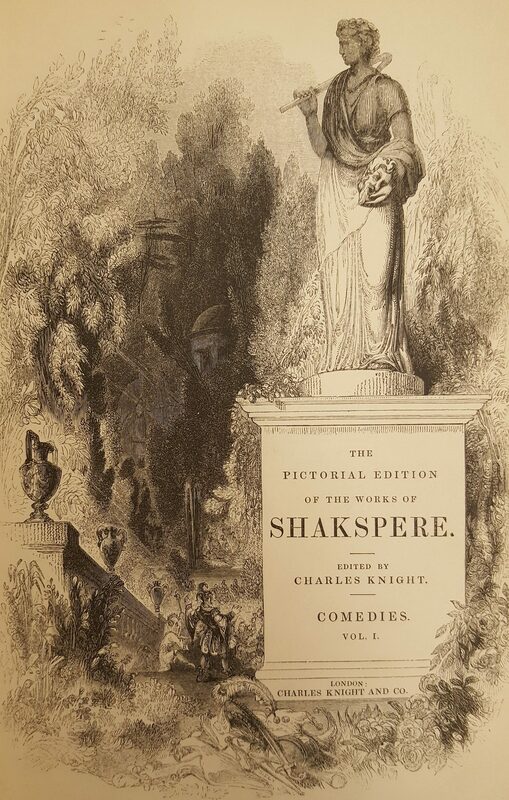 Knight’s edition was originally issued in 56 monthly parts between 1838-43, and simultaneously, as material became available, released in 8 bound volumes between 1839-43, (7 volumes of plays, with a biographical volume authored by Knight). This ambitious illustrated edition was a product of the Victorian cult of Shakespeare, prevalent among all social classes, as well as emerging technologies which made the mass-production of affordable, wood-engraved books possible for the first time. 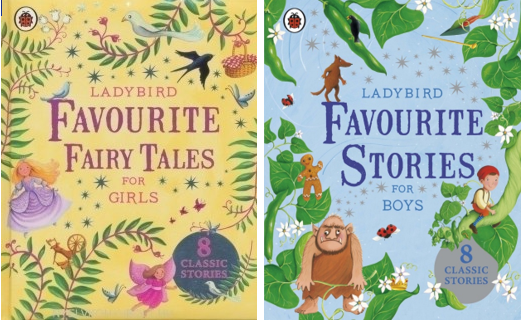 Knight was acutely aware of the power of illustrated works to attract and educate new readers. His previous projects, the Penny Magazine (1832-45), and the 27-volume Penny Cyclopaedia (1833-44) contained hundreds of cheap woodcuts. 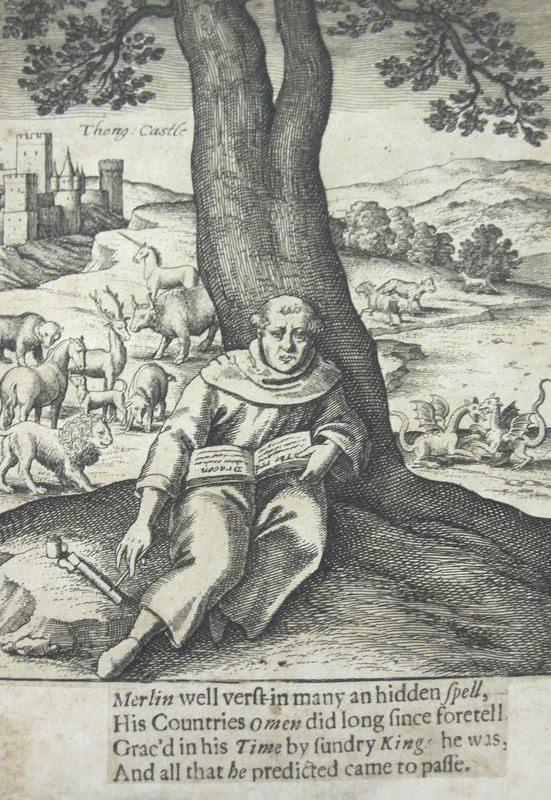 He went on to produce ‘pictorial editions’ of the Bible, a history of England, and a Book of Common Prayer. He rejected the approach made by Nicholas Rowe, in the first illustrated Shakespeare edition, Rowe’s works of Mr. William Shakespear (1709), in which copper engravings depict key scenes within their theatrical setting, complete with stage sets and contemporary costume. 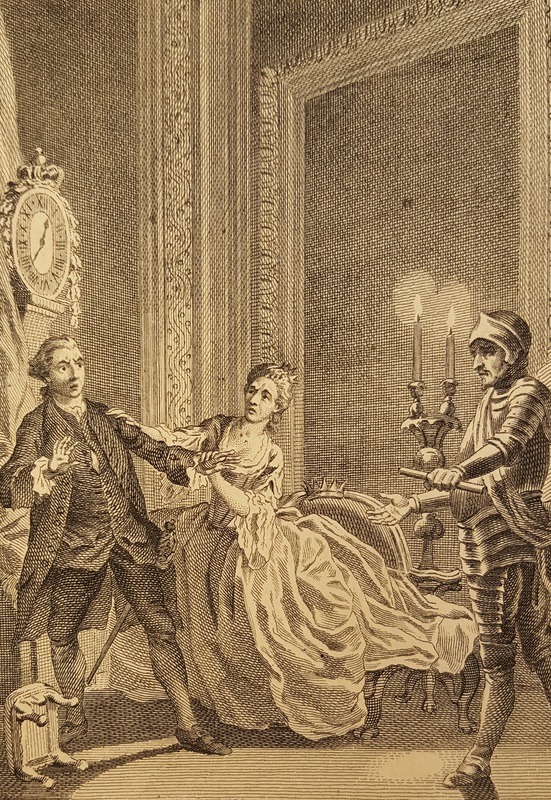 Illustration from Nicholas Rowe’s 1709 edition, showing a scene from Hamlet in its theatrical context (typically featuring a draped curtain, and actors in contemporary eighteenth century dress). 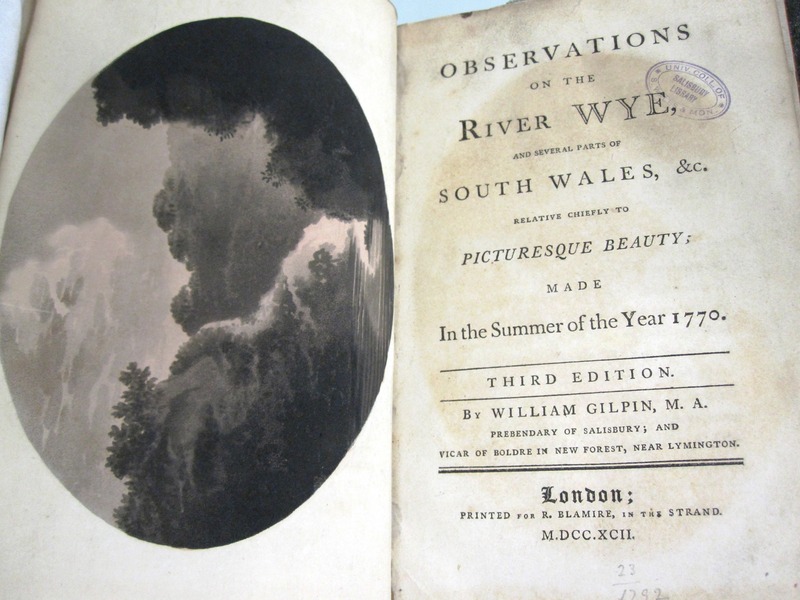 ‘the Realities upon which the imagination of the poet must have rested…the localities of the various scenes, whether English or foreign; the portraits of the real personages of the historical plays; the objects of natural history, so constantly occurring; accurate costume in all its rich variety,’ (Knight, 2:284). Considering his background in encyclopedias and miscellanies, it is perhaps not surprising that he sought to surround the literary works with images of real locations, and real persons, ‘which imparted a character of truthfulness to many scenes, which upon the stage had in general been merely fanciful creations’. 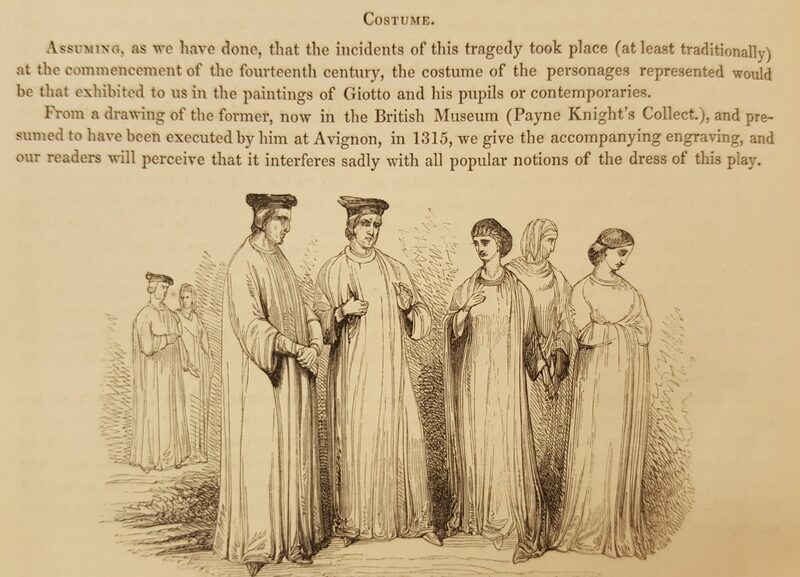 Extract from Knight’s ‘introductory notices’ to Romeo and Juliet, which places the play in its historic context. 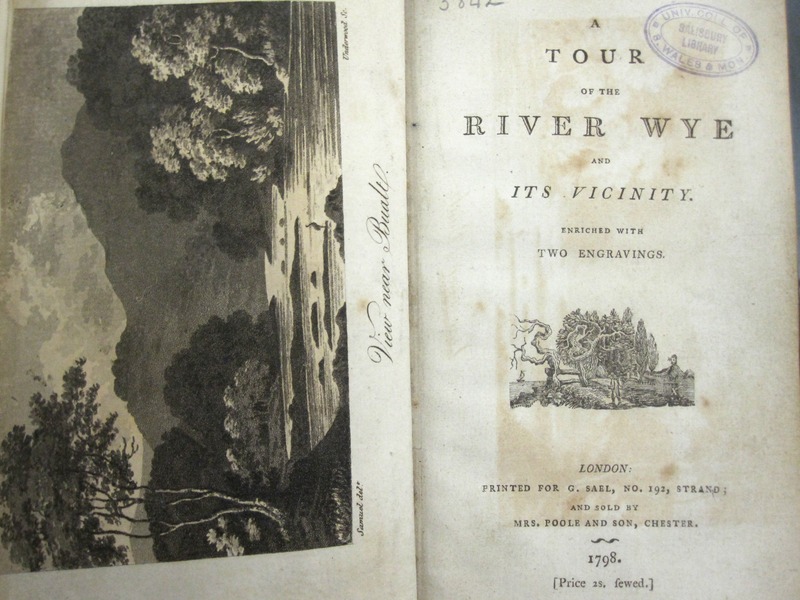 Compared to earlier editions by Nicholas Rowe and John Boydell, which featured expensive and laboriously-produced copper engravings, Knight capitalised on the economy of wood engraving, a quick and affordable technique perfected by Thomas Bewick (1753-1828), which allowed text and image to be printed simultaneously. Knight’s printer, William Clowes and Sons, operated the largest printing works in the world at that time, and in 1843, owned 24 steam-driven printing presses, reducing mass-printing costs even further (Weedon, p. 158). 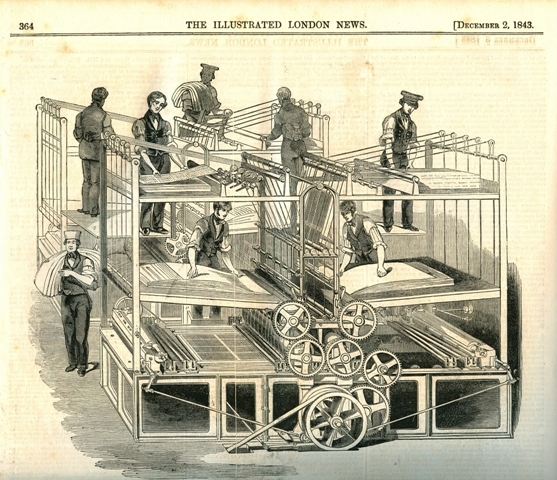 Steam-printing machine used by The Illustrated London News, 2 Dec 1843. • Cabinet edition (1843-4) in 11 duodecimo volumes at £1 7s. 6d. 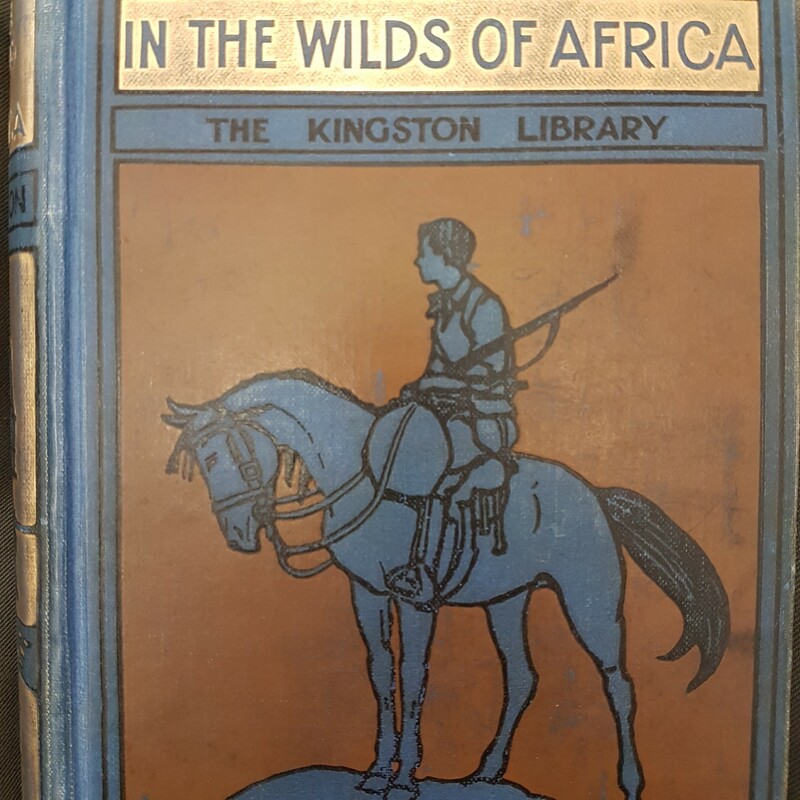 • A single volume edition of 1,084 pages (1845) at £1 1s. ‘two plays for one penny! … Sixty-four well-printed double-column pages containing Hamlet and Othello complete, for one penny, is really a wonder, even in this cheap-printing age… our greatest poet [is] thus brought within the reach of all, in a style fit for any home and illustrated with two woodcuts, but unencumbered with the ‘readings’ and ‘notes’, which only puzzle readers and too often interfere with the full enjoyment of Shakespeare’s immortal works’. (Birmingham Daily Post, 18 April 1864, p. 5). 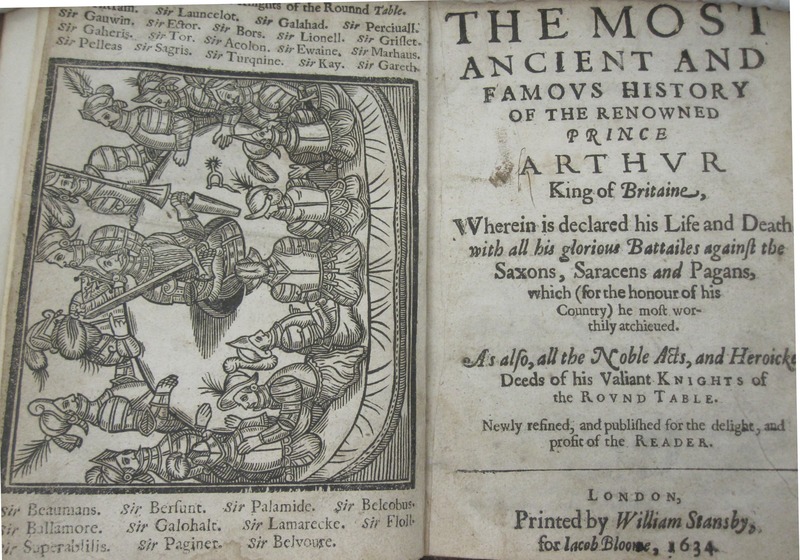 A bibliographic tangle it may be, but the proliferation of editions is testament to the enduring popularity of the work, and the breadth of the potential market for illustrated Shakespeare. Title page of Charles Knight’s Pictorial edition of the works of Shakspere. 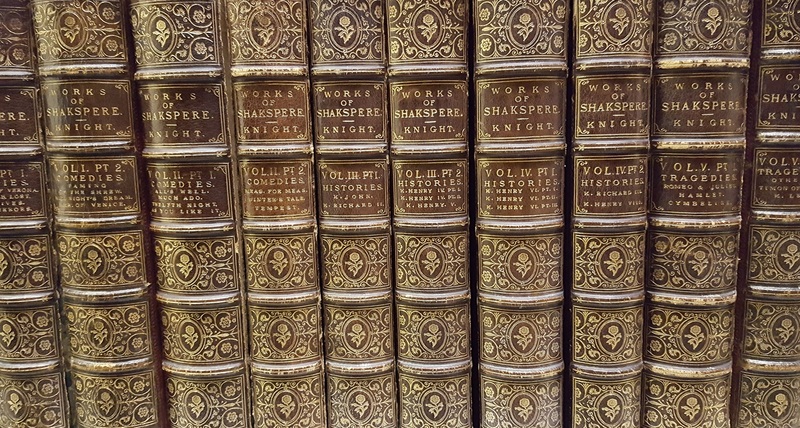 Special Collections and Archives’ set of Knight’s Pictorial edition of the works of Shakspere has every appearance of being a first edition, though this is difficult to verify conclusively without comparison with others. 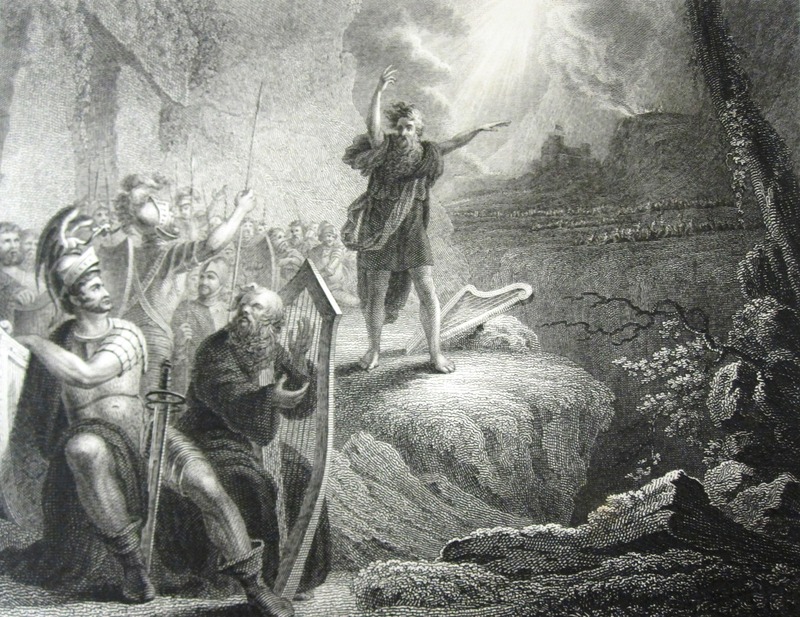 New digital databases such as the Victorian Illustrated Shakespeare Archive have vast potential to aid researchers in comparing editions and tracing source texts. Our copy is undated, re-bound, and most remarkably, has been extended to almost twice its original length by the inclusion of 1,495 additional engraved plates, and 26 original drawings by William Harvey (1796-1866). Nicholas Harvey’s original sketch for the Comedy of Errors frontispiece, bound in opposite the final engraving. A pupil of Thomas Bewick, Harvey was employed to create a series of frontispieces, ‘which, embodying the realities of costume and other accessaries [sic], would have enough of an imaginative character to render them pleasing,’ (Knight, 2:284). 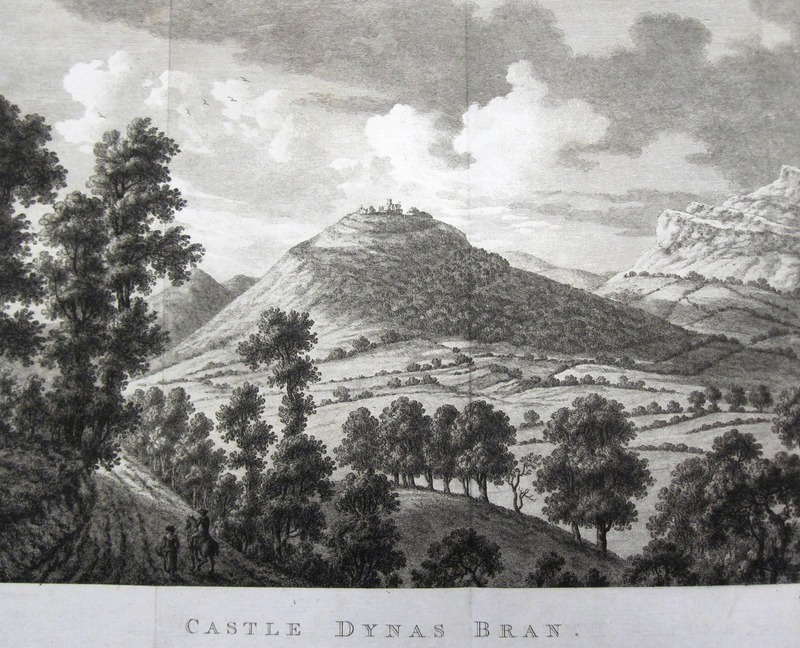 His original drawings in pencil and ink, with a brown wash to indicate desired areas of shading, have been bound into the work alongside his engraved frontispieces. One of the 1,495 extra illustrations added to our Knight edition. The same Hamlet scene as depicted Rowe’s edition, this rendering features the same Regency dress and set design that Knight rejected in favour of historical accuracy. 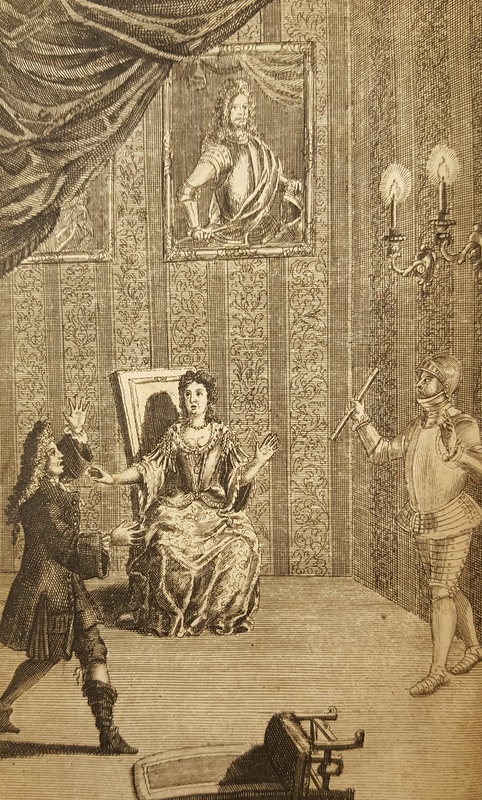 The work now stretches to 15 volumes rather than the original 8, and to what would surely be Knight’s dismay, contains many of the ‘artistic’ theatrical scenes from 18th and early 19th century editions, of which he disapproved so strongly, as well as illustrations from rival mid-19th century wood-engraved Shakespeare editions. In the first volume, a bookseller’s catalogue listing is pasted onto the front free endpaper, with the price given as £35. 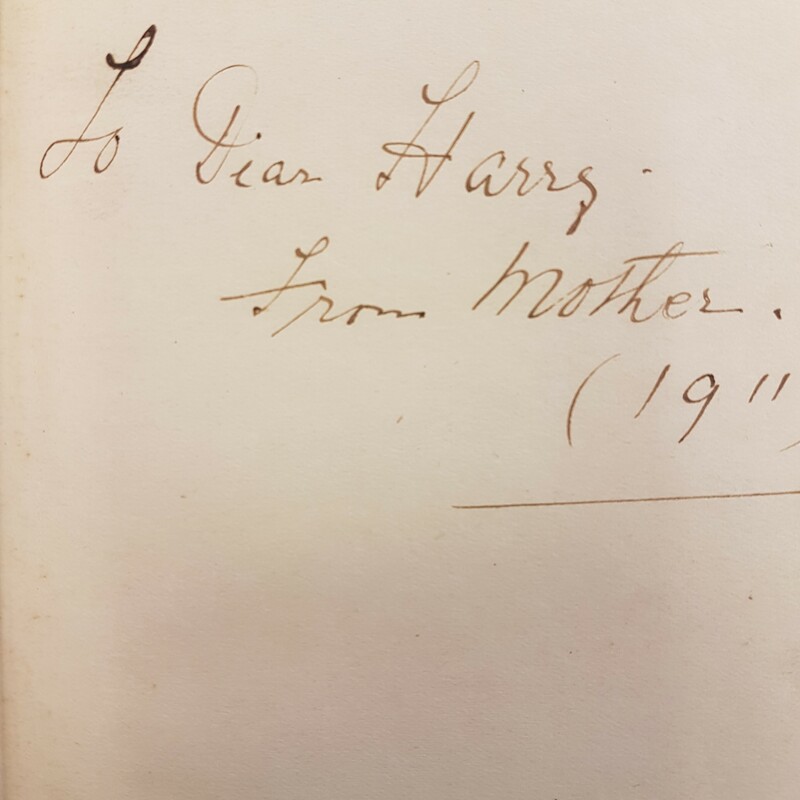 An inscription records, ‘I give this book to my dear son Trevor / 22 April 1889, John C. Bigham’. Inscription from John Charles Bigham (1840-1929) to his son Trevor (1876-1954). The son of a merchant, John Charles Bigham (1840-1929) trained as a barrister and rose quickly through the ranks to join the Queen’s Bench. In 1912, he was appointed commissioner to inquire into the sinking of the RMS Titanic, and was created the first Viscount Mersey in 1916. His third son, Trevor, to whom the book is inscribed, became Deputy Commissioner of Police of the Metropolis (the second-in-command of London’s Metropolitan Police Service) in 1931. 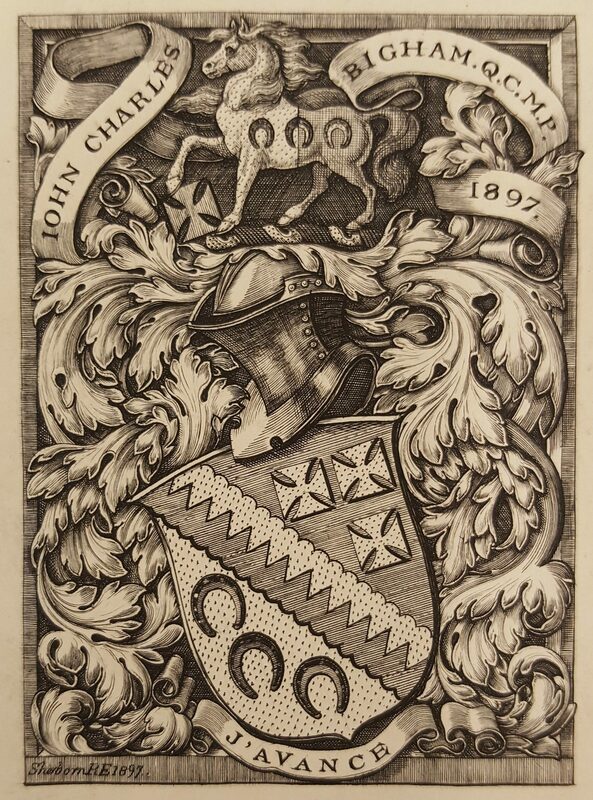 Each Knight volume contains a bookplate belonging to John Charles Bigham, dated 1897. The pasted bookseller’s record suggests that neither Trevor Bigham nor his father were responsible for constructing this densely extra-illustrated work, and we may never know who was. 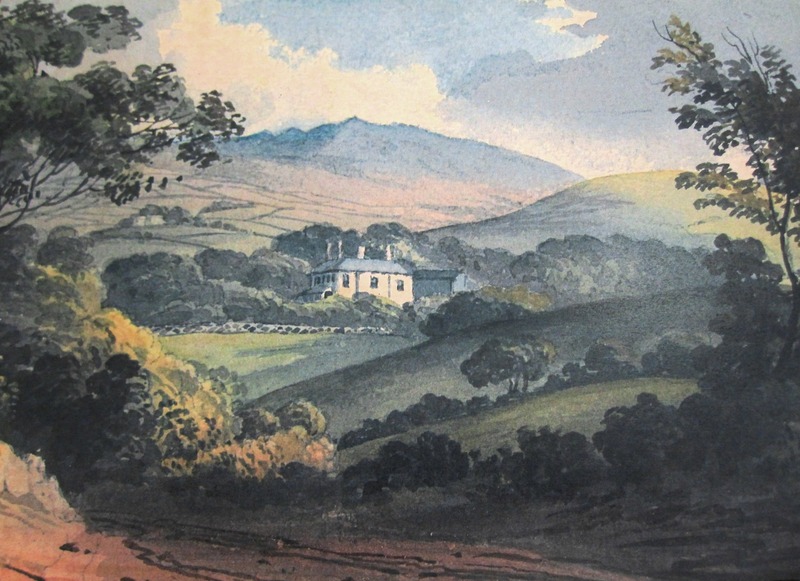 Prescott writes ‘each copy of a book bears the imprint in different ways of its previous owners and can act as an archive of the owners’ interests, enthusiasms and preoccupations as much as their personal papers’. There could be few better examples of this than this handsome work, more scrapbook than book, and all the more fascinating for researchers as a result. Knight, Charles, Passages of a working life during half a century, with a prelude of early reminiscences. London: Bradbury & Evans, 1864. Weedon, Alexis, Victorian publishing: the economics of book production for a mass market, 1836-1916. Aldershot: Ashgate, c2003: 158. Young, Alan R., ‘Charles Knight and the nineteenth-century market for Shakespeare’, Papers of the Bibliographical Society of America, vol. 103, no. 1 (March 2009), pp. 19-41. This guest post comes from Karita Kuusisto, a PhD student at the School of English, Communication and Philosophy at Cardiff University. 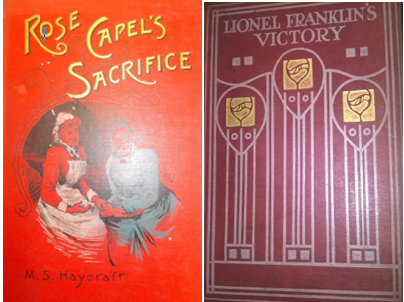 Her research focuses on the work of the artist and illustrator Sidney Paget and the role of the illustrator in the process of making illustrated periodicals in the late Victorian era. Her research interests include illustration, periodical press and photography in the nineteenth century. Karita is leading a special session at the 2016 Annual Conference of the British Association of Victorian Studies, where she will showcase the work of the artist and illustrator Sidney Paget (1860-1908), concentrating on his work for the Strand Magazine. 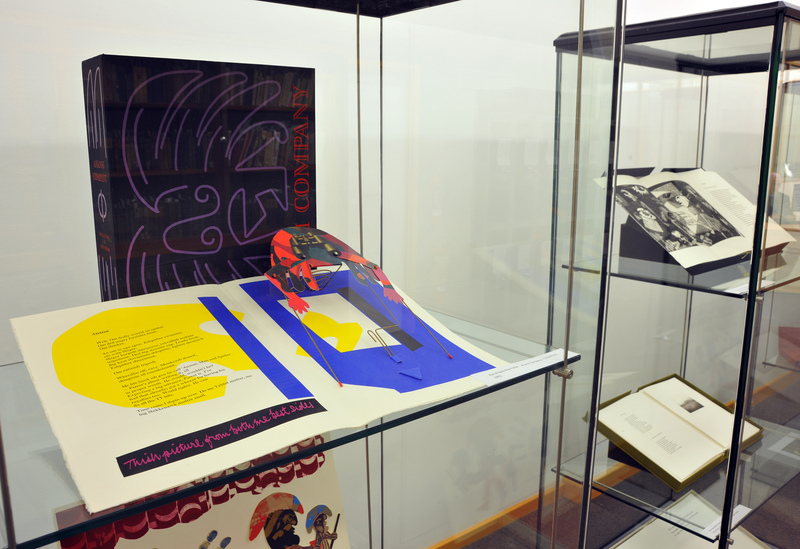 The session also gives visitors a chance to examine original copies of the magazine housed in Special Collections and Archives, and explore how the changes in the publication process affected the appearance of the illustrations throughout the years. Sidney Paget may not be a name that many people recognise, even if they recognise the literary character who he helped to create visually: Sherlock Holmes. While there is much debate over which illustrator contributed most to the famous detective’s appearance, there can be no doubt that one of the most influential of them all was the rendition that Sidney Paget created for the pages of the Strand Magazine. Created by George Newnes in 1891, the Strand Magazine is well known for having been a highly entertaining and lavishly illustrated monthly publication. Assigning Paget as the illustrator of the ‘Sherlock Holmes’ stories seems to have happened by (a lucky) mistake. According to Paget’s daughter Winifred Paget, the Strand Magazine’s Art Editor, W. H. J. Boot, had actually intended to hire Sidney Paget’s brother, Walter Paget, for the job. Boot, however, had forgotten Walter Paget’s first name and addressed his letter to “Mr. Paget”, and the letter was subsequently opened by Sidney. Illustration by Sidney Paget for Arthur Conan Doyle’s ‘Boscombe Valley Mystery’, published in the Strand Magazine in 1891. 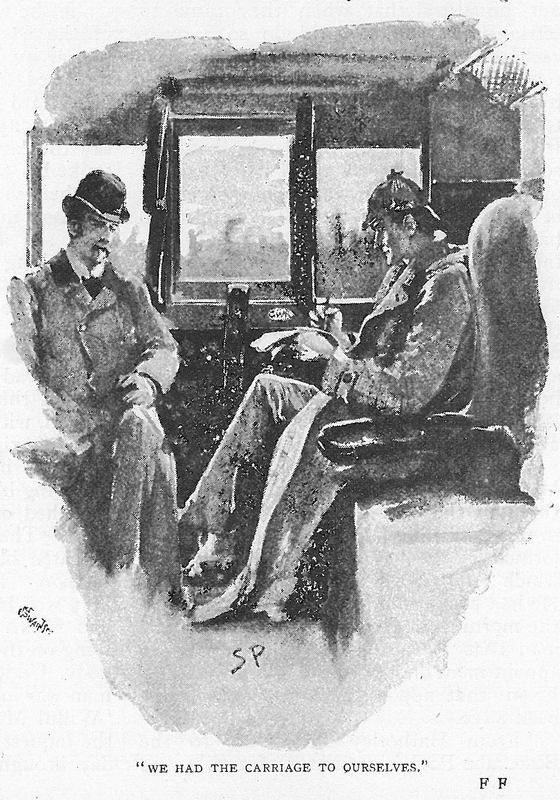 Sidney Paget illustrated the ‘Sherlock Holmes’ stories from their first publication in the Strand Magazine in 1891 until the publication of ‘Final Problem’ in 1893, and resumed as the illustrator of the stories in 1901 for ‘The Hound of the Baskervilles’ and 1903 for ‘The Return of Sherlock Holmes’. 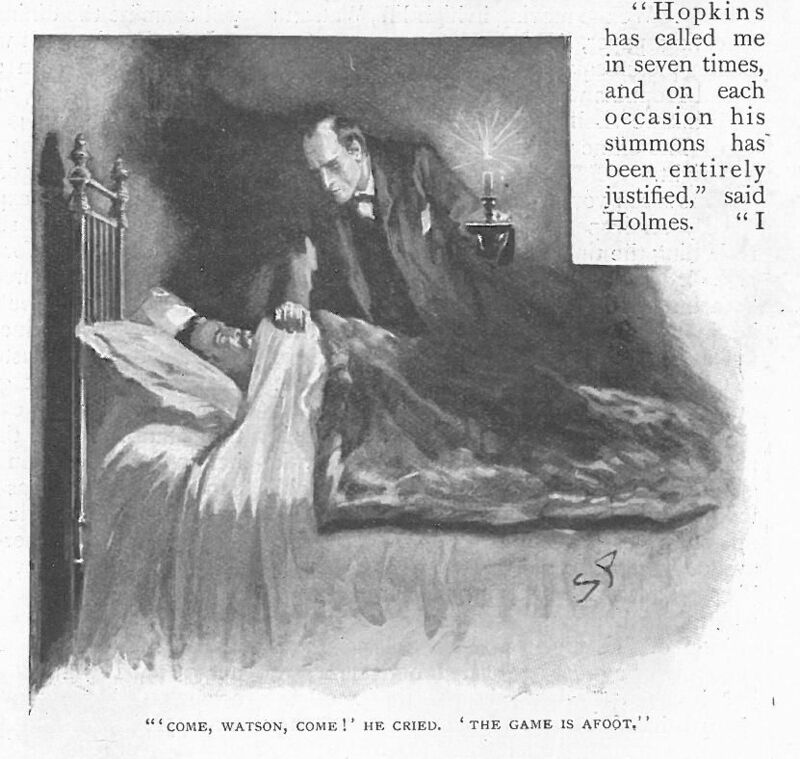 During the time when ‘Sherlock Holmes’ stories were not published, Paget went on to illustrate many other stories by Arthur Conan Doyle (and others) for the Strand. 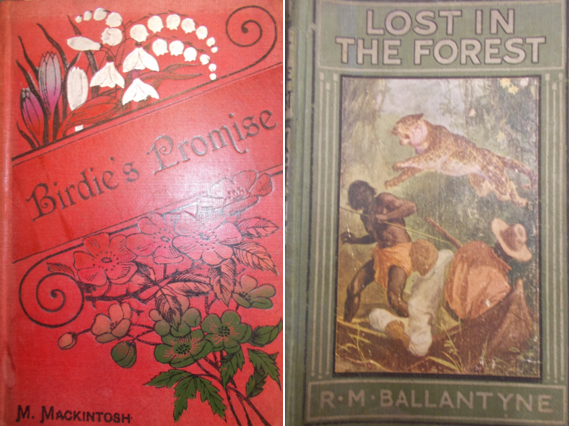 These included ‘Rodney Stone’, which was first published as a serialized novel in 1896 and later published as an illustrated novel, using Paget’s illustrations. Illustration by Sidney Paget for Arthur Conan Doyle’s ‘Rodney Stone’, published in the Strand Magazine in 1896. What do we know about Sidney Paget? According to an article published in the Strand Magazine in July 1895, Sidney Paget was ‘born on October 4th 1860, in London, fifth son of the late Robert Paget, vestry clerk of Clerkenwell’, and studied painting in Heatherley’s School of Art. He first exhibited at the Royal Academy at eighteen years of age, ‘and constantly since that time’. In his studio, Paget painted portraits and small pictures, while also illustrating books and illustrated papers, consisting of ‘chiefly war subjects of Egypt and the Soudan.’ According to the Royal Academy records, Paget became a student of the Academy on December 6 1881, at the age of 20, as a painter. At the time, training lasted for six years. 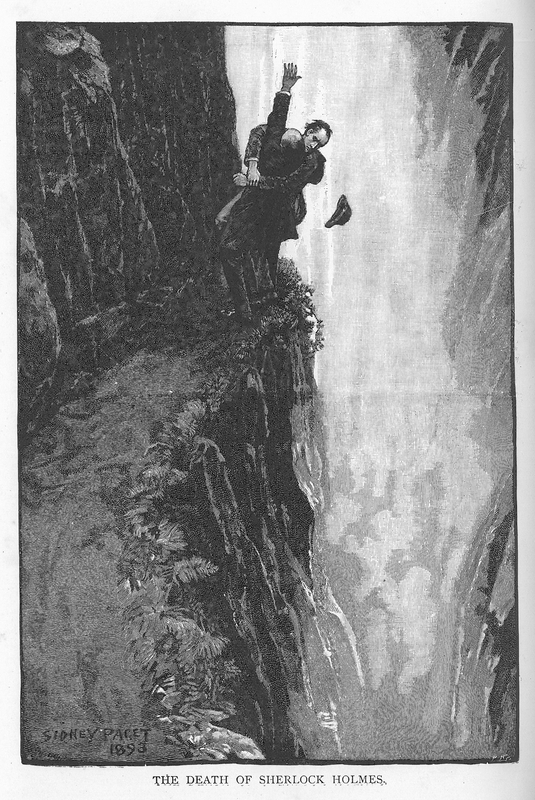 Illustration by Sidney Paget for Arthur Conan Doyle’s ‘Final Problem’, published in the Strand Magazine in 1893. Paget, being a portrait painter, often included “portraits” of characters from the stories as illustrations. His skill as an illustrator lay in his ability to make the different characters easily recognizable for the reader, something too often lacking in Victorian era illustration. 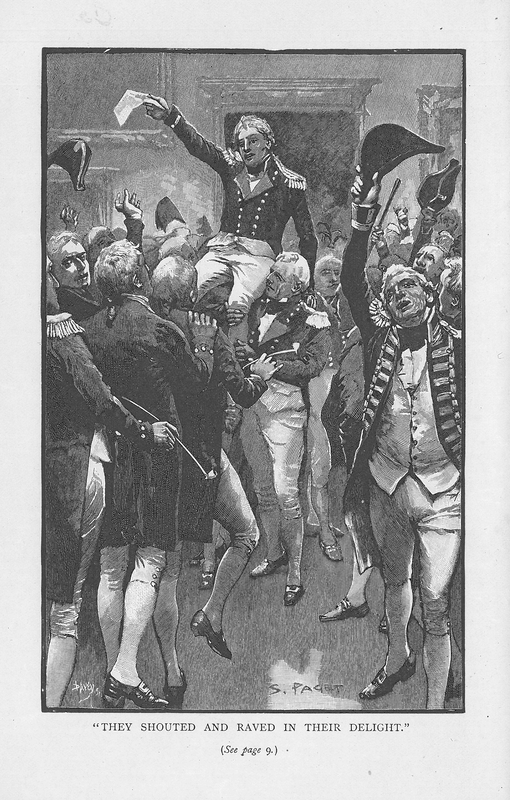 Paget’s original black-and-white drawings are painterly in their style and use of shading, which does not always translate to the finished illustrations on the Strand Magazine’s pages. This is simply due to the printing process of the illustrations: after Paget had finished the original drawing, both engraver and printer would work on the image as well, leaving their mark on the work. The printing process also affected the amount of detail that could be included in the finished illustration, which Paget would have needed to take into account when producing the drawings. There is a clear change in the style and the overall look of the finished ‘Sherlock Holmes’ illustrations in the Strand Magazine in the year 1892. According to Alex Werner, this change happened when Paul Naumann became the engraver of the ‘Holmes’ illustrations. It is possible that the Strand Magazine was not satisfied with the quality of the previous illustrations, and wished therefore to change engravers. As the Strand Magazine’s records have been lost, it is quite impossible to know exactly why the change happened. After the changing engravers, the compositions and topics of the illustrations also became more varied, resulting in a more enjoyable reading experience. Illustration by Sidney Paget for Arthur Conan Doyle’s ‘Abbey Grange’, published in the Strand Magazine in 1904. Newnes, George ‘Artists of the Strand Magazine’ in Strand Magazine 1895.2. 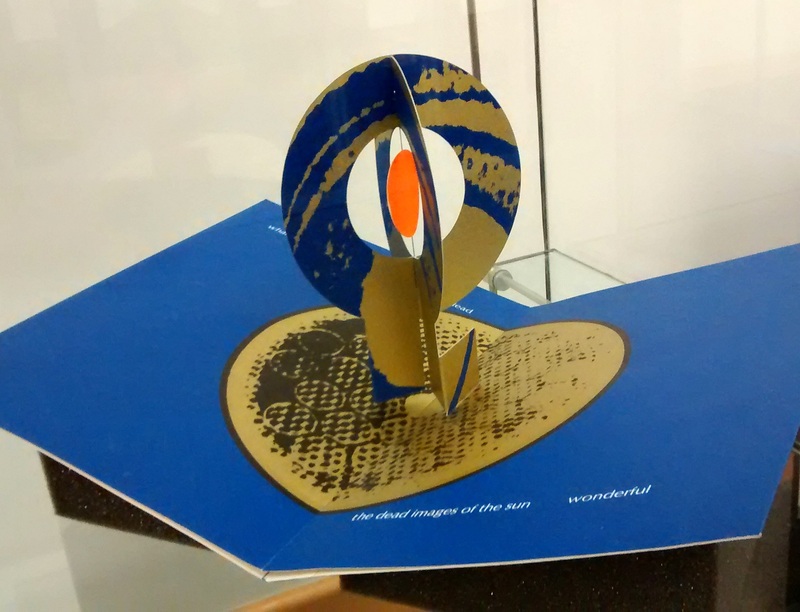 Our latest exhibition was launched at the opening of the Livres d’Artistes: The Artist’s Book in Theory and Practice conference. 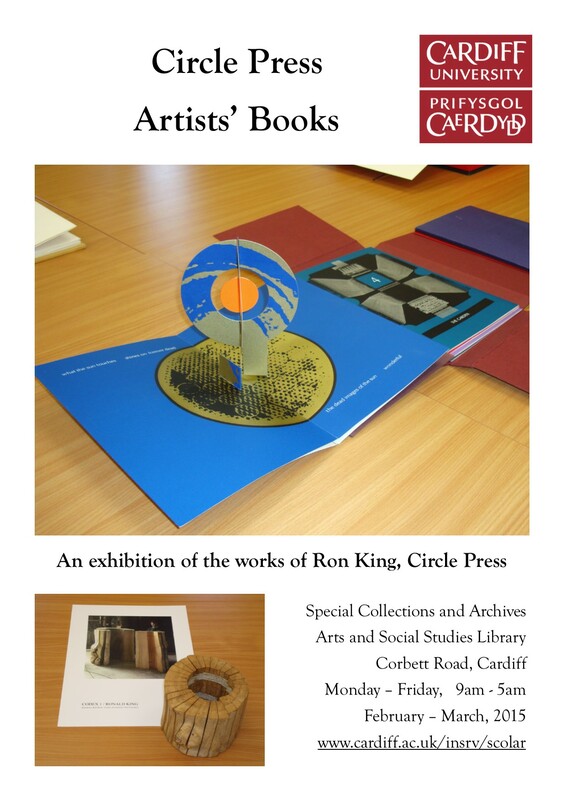 It showcases the generous donation of artists’ books from Ron King and the Circle Press, gifted to Special Collections and Archives in 2014. 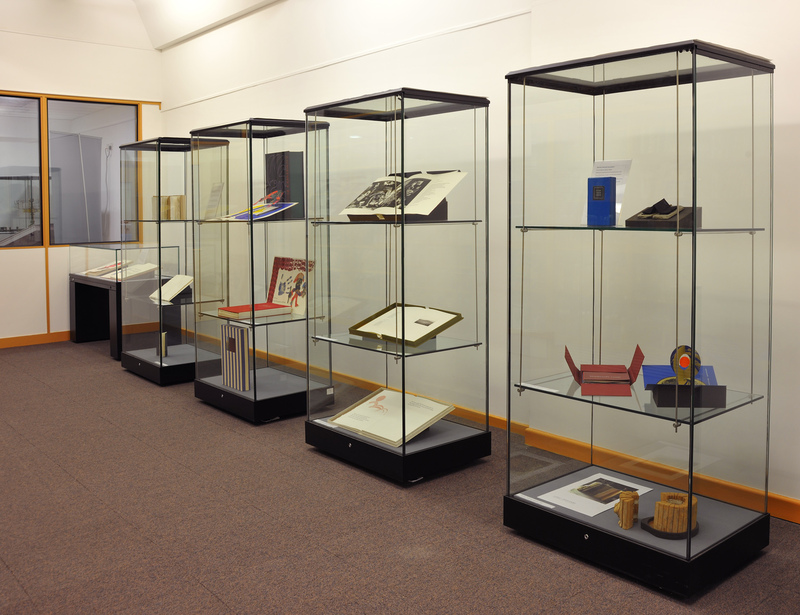 Sample images from the exhibition are featured below, with captions taken from an interview with Ron conducted by Cathy Courtney (1999), which looks back on his career in book arts. Contracted at this time to create print editions for Editions Alecto, London, I persuaded them to take on this first book [The Prologue (1967)]. On completion of the work with their imprint on the title page and stamped logo on the reverse of the images, they suffered a financial set-back and I was forced to take on publication myself as Circle Press. 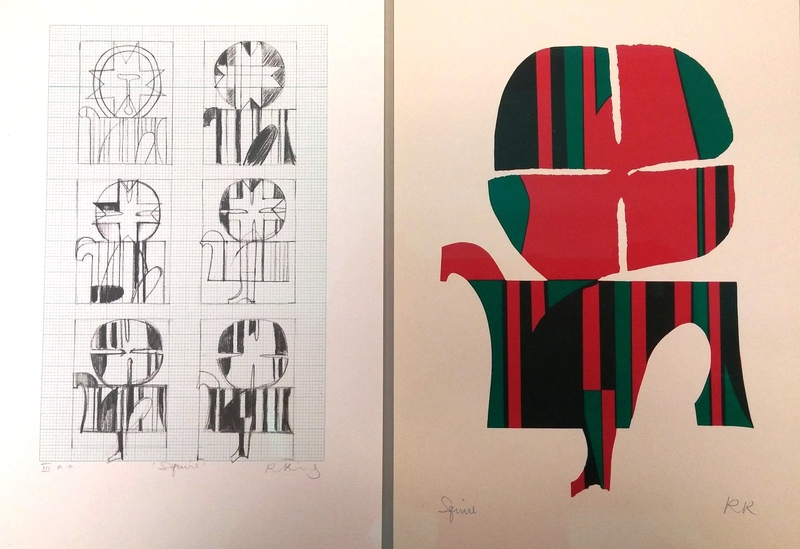 I had been working on a series of mask prints, and I knew this was a solution I wanted to explore for the Chaucer rather than attempting to ‘illustrate’ it… The abstract mask provided the opportunity to express the pilgrims through the merging of symbols – symbols taken from heraldry or the Church, for example – rather than caricature. The Parson, for instance, is not just himself but also a symbol of the Church, just as the Knight is the symbol of ruthlessness and (at the same time) vulnerability but also, in heraldic terms, of the Crusade… I used colour to put certain moods across; for instance, the Knight is grey, black, and silver and rather rusty, whereas the Squire is bright and gaudy. Originally produced for Editions Alecto, London; published by Circle Press with frontispiece and fourteen mask images titled and initialled in pencil – printed silk screen and letterpress in 24 pt Plantin. 125 signed copies, 15 proofs – 50 x 37cm – 15 unbound 4pp sections in J. Green rag-made paper wraparound in blue cloth folder and canvas slipcase. Separate editions of 50 plus 5 proofs were made of all the images except ‘Friar’ and ‘Franklin’ onto J. Green paper 56 x 38cm titled, numbered, and fully signed. Guildford, 1967 (second edition, 1978). Over 30 screen printed images, including 8 double spreads – text printed letterpress in 30 pt Fry’s Baskerville, interwoven with the designs. 150 signed copies, 15 proofs – 72pp unbound on J. Green mould-made paper – 40 x 30cm – in gold-blocked red cloth cover and slipcase. 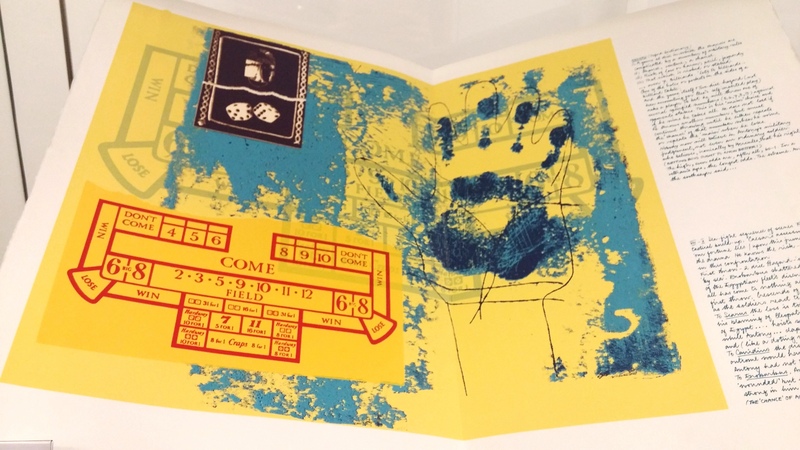 50 copies reserved for London Graphic Arts Inc. and 10 for Imre Maltzahn Gallery. Separate editions of 30 signed prints on Hosho paper of all double spreads and 2 single pages were issued without text. Guildford, 1968 (second edition, 1990). Bluebeard’s Castle (1972-73) marked the beginning of [my] collaboration with the poet Roy Fisher [and] my first step away from the traditional book format… The extraordinary thing was that within three weeks of my having sent Roy a mock-up of the book, he had written a text in which we only changed one word. I’d never met him… I designed the whole thing, and making it was incredibly masochistic. Absolute hell. The difficult thing about a work like Bluebeard’s Castle is to translate the dummy into something that can be manufactured or constructed in an edition. I remember sitting at a desk and just cutting and chopping and gluing and looking at all kinds of different pop-up material until I turned out the first room, the Torture Chamber. Once I got the idea that to make something pop-up you have to have symmetrical folding structure, I began experimenting in various ways. 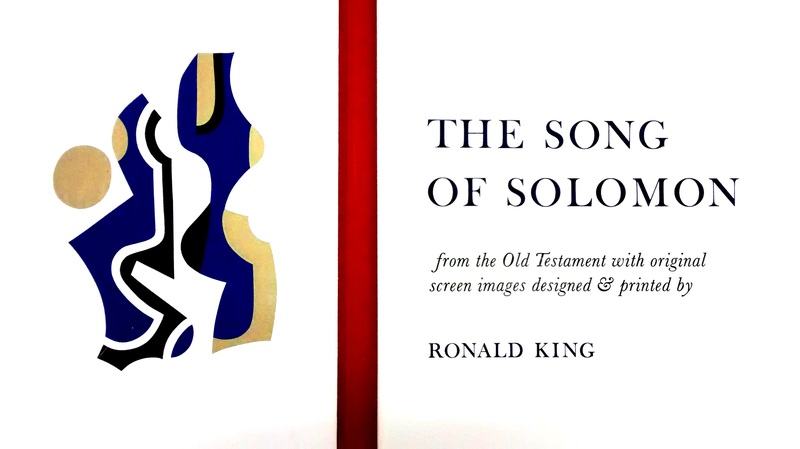 Based on the opera by Bartok, the visual theme of the book is represented by nine pop-up constructions; the portcullis, the castle and seven secret chambers with the verse incorporated into the design printed in Optima. 125 signed copies – 30 x 20cm made up of 10 loose 4pp sections silk screened throughout onto Hollingsworth paper placed into a cardboard folder and held in a black Perspex tray with a clear lid. Guildford, 1972. I was born in Brazil in 1932. The Carnival was a three-day event just before Lent and was visually very powerful. I loved the spectacle of the fancy dress, the masks and hobby horses. I spent a lot of times making paper toys and kites. Kites have a tremendous masklike presence, and they have appeared in my adult work; for instance, I used them in my Antony and Cleopatra (1979). Over 30 screen printed designs for the full text of the play; printed letterpress in 11 pt Baskerville with screen printed handwriting for annotations by Keith Please. 300 signed copies, 40 proofs – eleven 8pp unbound sections – 38 x 29cm on Cuve Rives Blanc paper in a quarter-bound leatherette and canvas portfolio. Guildford, 1979. The Left-Handed Punch (1986) and Anansi Company (1992) are the two most elaborate books Roy and I worked on. The Punch is my favourite of all the books I’ve done; it holds together better than Anansi and has more dimensions. Punch’s moveable puppets, on-stage descriptions, the large chunks of the original Cruikshank version of the text, and the drawn Victorian tableaux scenes (spoofs of famous drawings and paintings) all fit together easily, and the photo montages and collages are relieved by the inclusion of the poet’s (Roy’s) handwriting to strong effect. 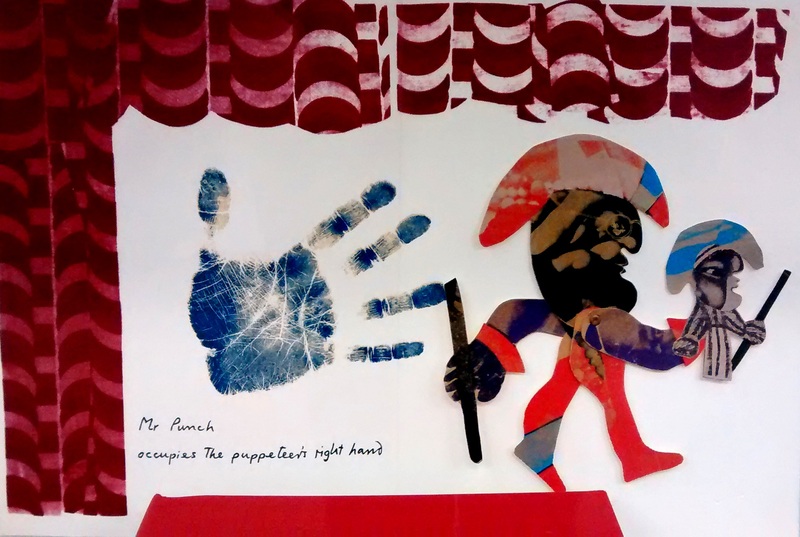 The fifth collaboration of artist and poet in a modern version of the Punch and Judy drama. Entirely screen-printed with the exception of the introduction, titles and colophon, which were printed letterpress in 14 pt Baskerville. 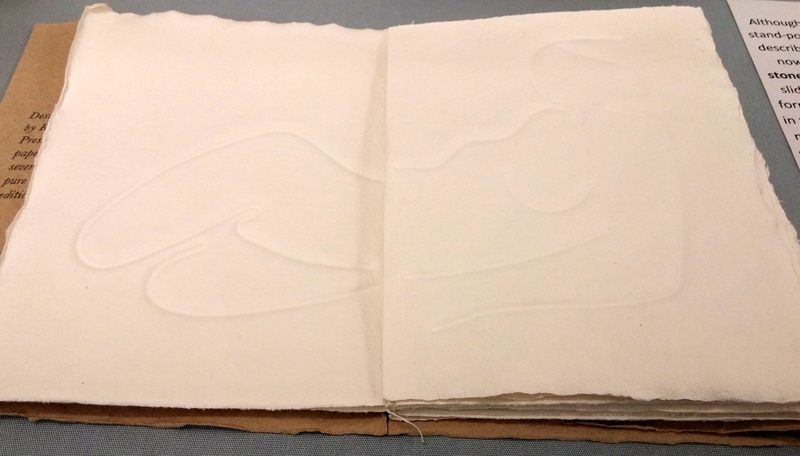 80 signed copies made up often 4pp French-folded sections – 38 x 28cm on Somerset mould-made paper. 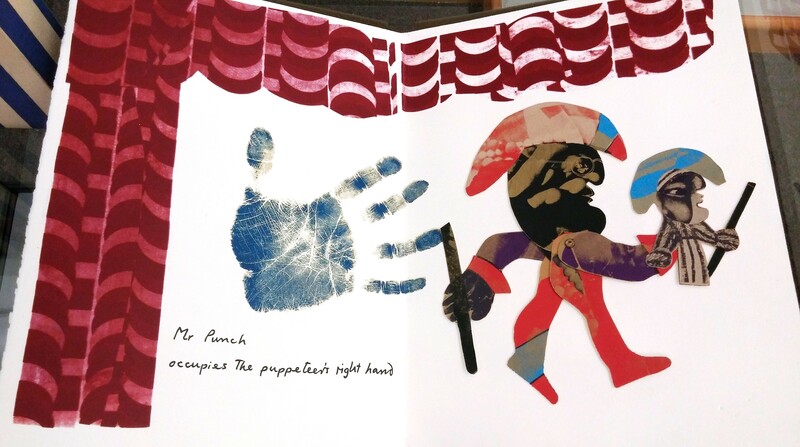 The six scenes and epilogue (which include 1 articulated puppet designs) are held in cartridge paper folders within a red cloth-covered folder inserted into a hand-printed striped cloth slipcase. Guildford, 1986. 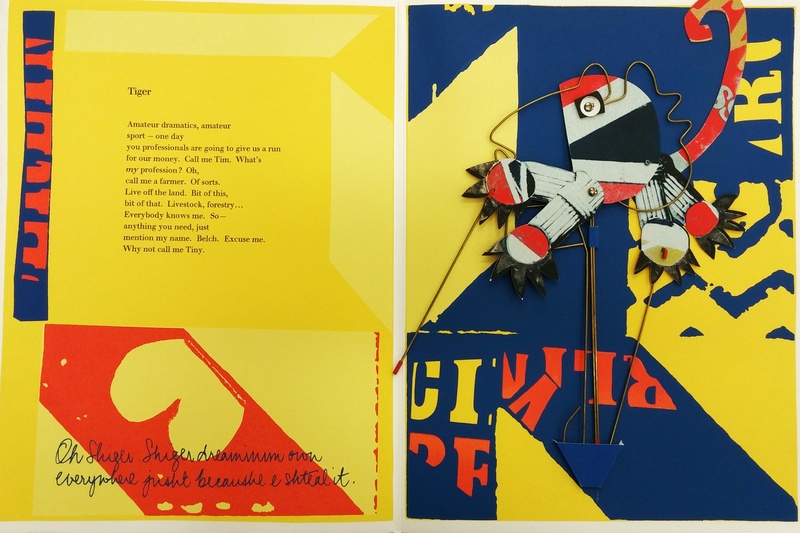 The Anansi book is more spectacular with its removable puppets made of wire and card – the whole book is like the Brazilian Carnival scene as I knew it, lots of noisy music and revelry coming from all directions. The seventh collaboration of artist and poet with thirteen screen-printed removable wire and card puppets. 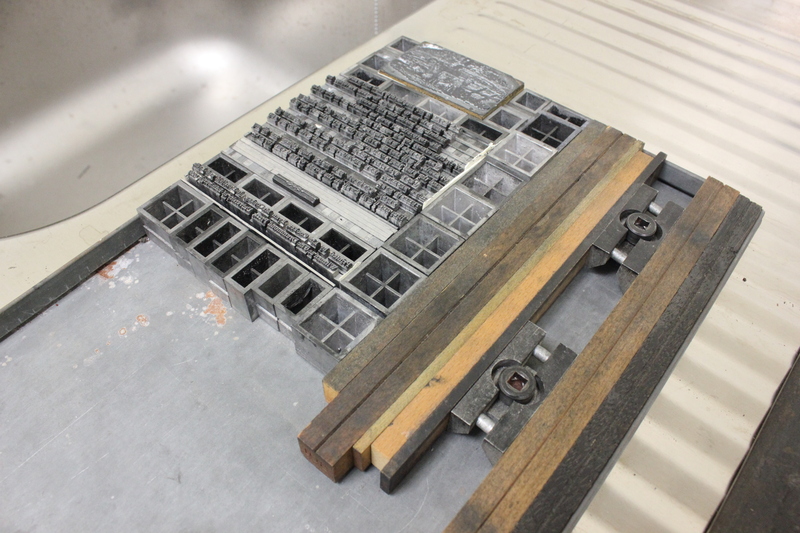 Introduction and accompanying verse printed letterpress in 14 & 18 pt Walbaum. 120 copies, 10 proofs – one 8pp section, thirteen 4pp French-fold sections, and one 4pp section (40 x 29cm), all loosely inserted into card wraparound and held in large colour-blocked solander box. London, 1992. If I am to criticise other works, I would say that, too often, one look through is enough! That does not mean that I can’t enjoy that ‘one-look’ type of book; not only do I have a large collection of them, but my own wire-printed productions, Turn Over Darling (1990) and Echo Book (1994), are books of that nature… I try to make even those ‘one-look’ books tactile and pleasing to handle and the printing relevant to the content. As in good speech, the message is not enough, the quality of delivery is vital. A series of six double-sided blind-embossed images printed in wire, which, when folded and juxtaposed in sequence, make eleven reclining nudes which change position from front to back view. 75 signed copies – six 4pp sections – 20 x 15cm on RWS hand-made paper and an unsigned, unlimited edition on Khadi Indian hand-made paper, both bound into tan hand-made paper covers and inserted into grey card slipcase. London, 1990. 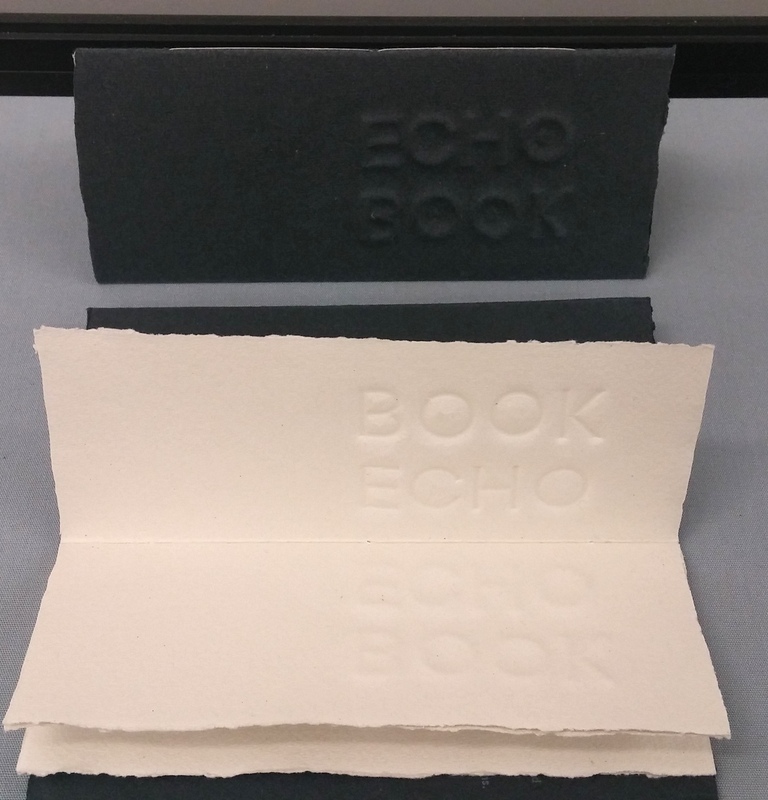 A small booklet with the words ‘ECHO BOOK’ printed in wire and blind-embossed to read ‘BOOK ECHO’ on the reverse of the page. The impression fades as the pages are turned in sequence. 75 signed copies with three 4pp sections – 20 x 8cm of Khadi hand-made paper and an unsigned and unlimited edition with two 4pp sections, both sewn into a blind embossed black paper cover. London, 1994. 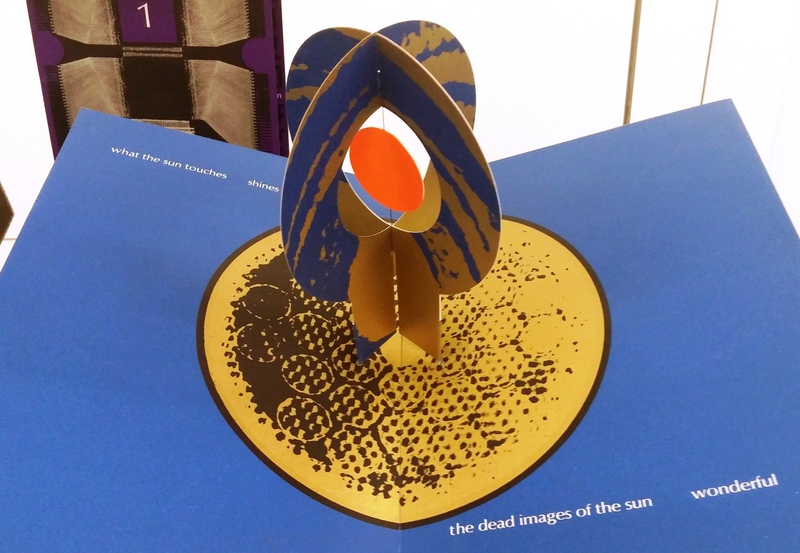 Although I was never a wholly traditional printer, I was closer to that stand-point when I began than now, when much of what I do might be described as the work of an experimental book artist. For many years now I have been using materials such as wire, wood, mirror and stone and exploring the elasticity of the book form itself. In selecting slides for lectures, I’m often aware of how my approach to the book form has developed. From the conventional solution of image and text in the format of the Chaucer Prologue in 1967 – through pop-up books, mirror books, wire-embossed books with double images, stone books, sawn and laser-cut ones – to the hollow log which I cut earlier this year into forty sections and bound in the inner ring to make four quarter-circle books that fit together into the original log form, is a long way. 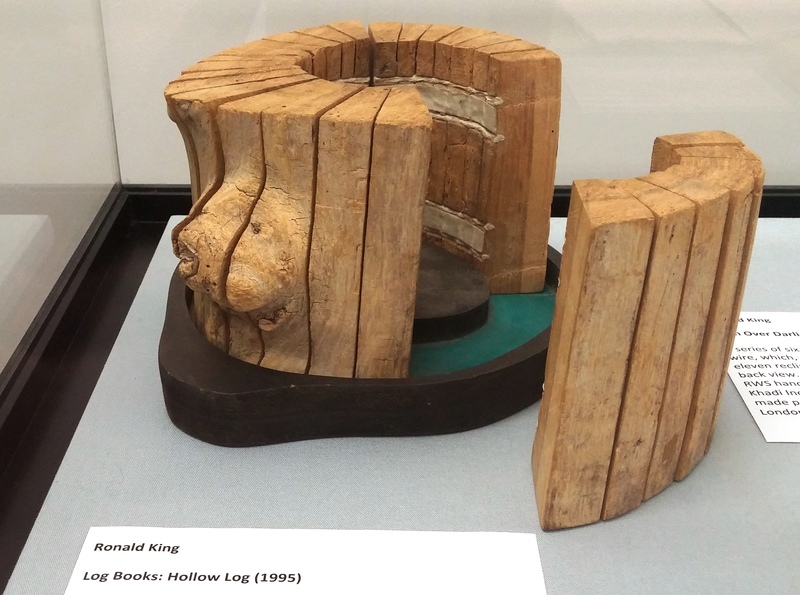 An on-going project, begun in 1995, for a series of book-works which explore the possibilities of sawing a log of wood into book sections, or pages, which can be reassembled into their original log form. In the case of Hollow Log, pages are cut from the circumference of a hollow log, divided into four codex-bound books of equal size. 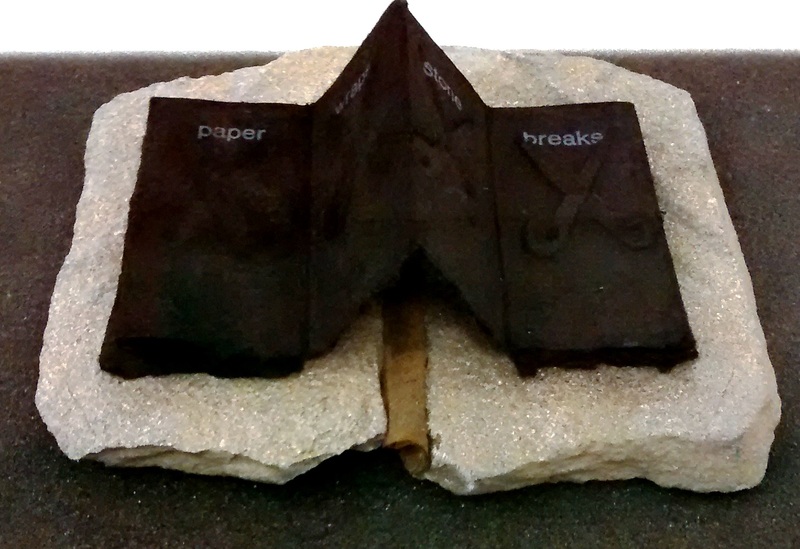 A series of book-works varying in size (7 x 5cm – 13-18cm) based on the ‘paper, scissor, stone’ game. 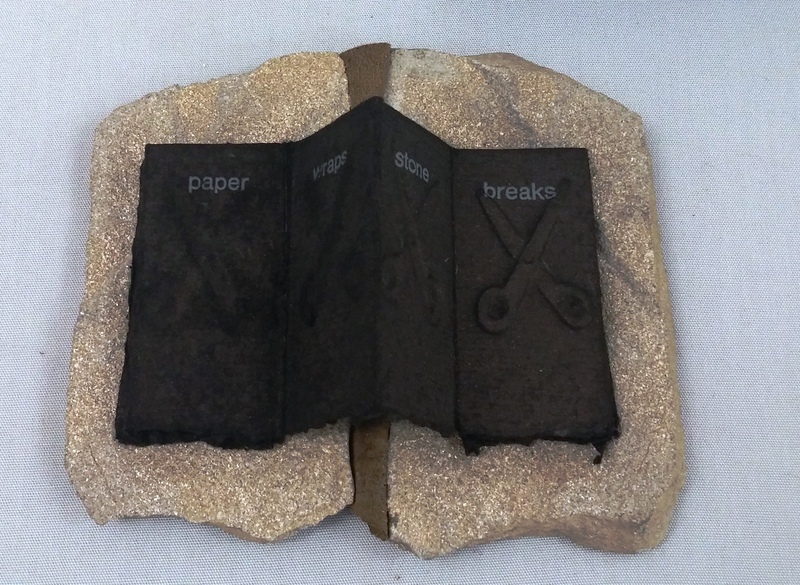 The scissors are blind-embossed onto a concertina of hand-made black paper with split stones (which act as covers) adhered to both ends of the folded pages. 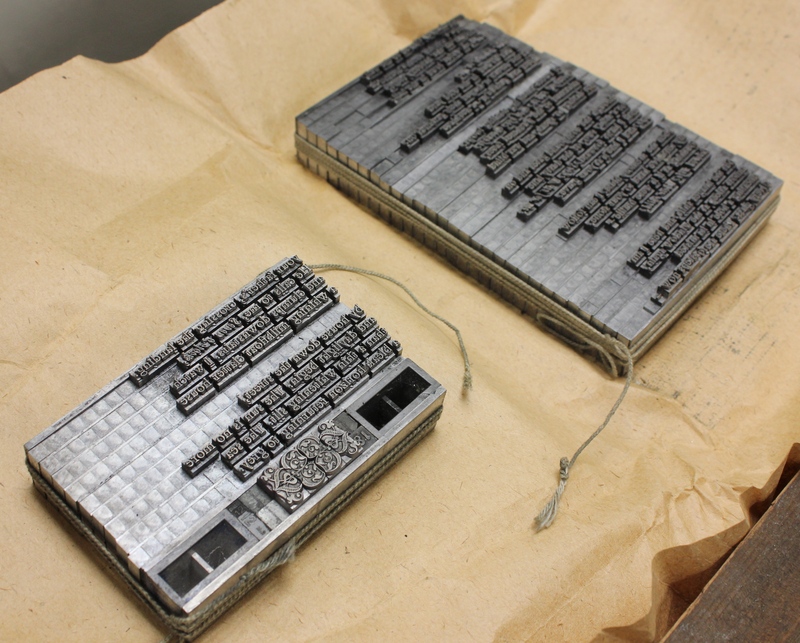 Text printed letterpress in 8 pt Helvetica. Each book contained in a hinged custom-made box. London, 1996-7. Special Collections and Archives recently attended a recruitment event for students intending to apply for a South, West and Wales AHRC Doctoral Training Partnership (DTP) studentship. These grants fund PhD theses which are supervised by two Higher Education institutions within the partnership. This consortium approach allows students to draw on the academic expertise and unique and distinctive research collections of two Universities, widening possibilities for interdisciplinary and inter-institutional collaboration and discovery. 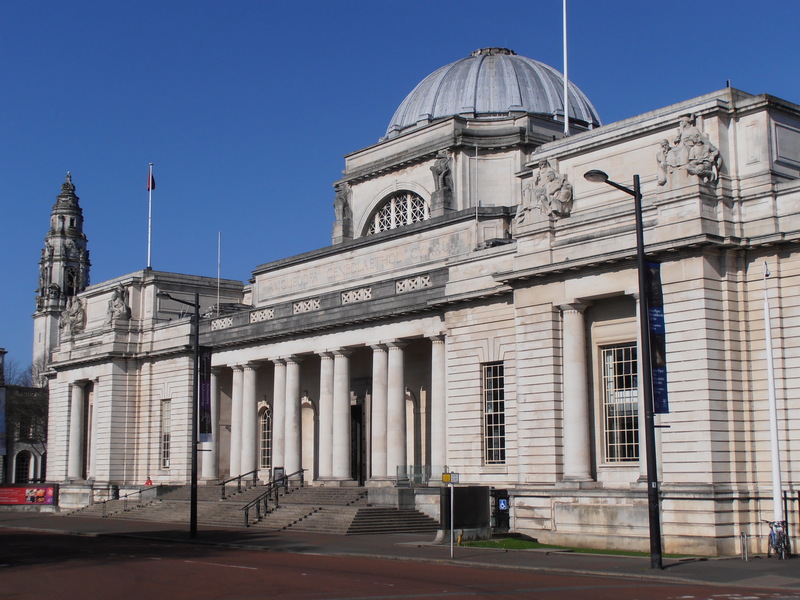 Academics and research support staff from all partner institutions (Aberystwyth, Bath, Bath Spa, Bristol, Cardiff, Exeter, Reading and Southampton) gathered at the National Museum of Wales, Cardiff to meet with prospective students and discuss their requirements. Our Special Collections and Archives stand was very busy, as applicants sought information on research collections covering a broad range of subjects. 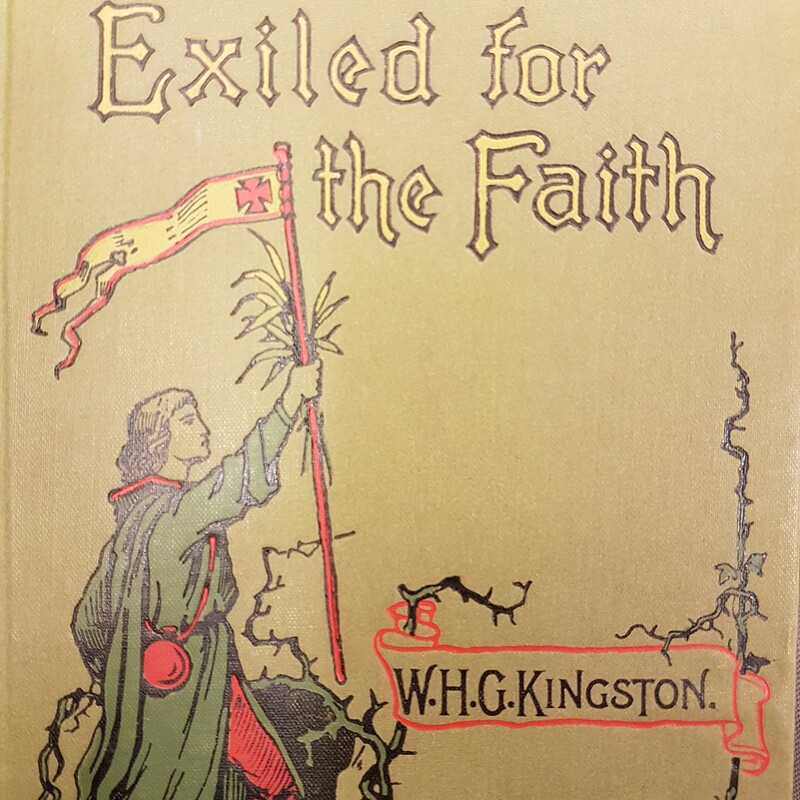 We received enquiries on Anglo-Welsh writers; folklore; the history of sport; Jane Austen; Restoration drama, archaeology; literary archives; Indian history; the history of genetics; male witches; interwar women’s history; medical history; Catholicism and martyrdom; philosophy; King Arthur; superstition and the occult; Gothic serialised literature; William Caxton; and 20th century charities. Best of luck to all applicants – we look forward to working with you! “As an Architecture Masters student interested in the valuing of traditional graphic and print culture, I worked with the staff at Special Collections and Archives, Cardiff University to show the relationship of my design process to their recently acquired printing press and formes. 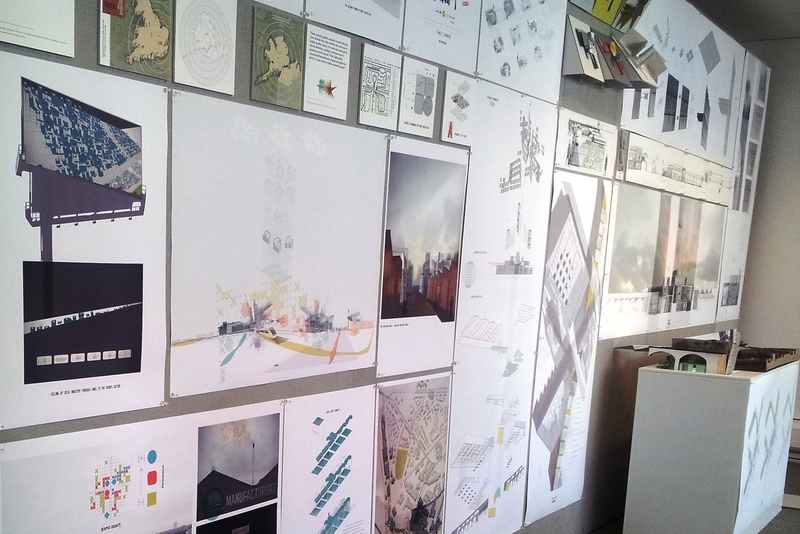 The title of my architecture design thesis was A ProtoType Foundry. The project took a historic look at large scale exhibition events known as world’s fairs or EXPOs. These types of events are given a strong graphic identity and are now perhaps more fondly referenced by the work of a typeface foundry or poster campaign rather than the neglected architectural showpieces. The tectonic concept for the external façade of my building design was a pre-casting of concrete panels against arrangements of metal formwork pieces. The finished aesthetic gave a relieved set of universal graphic guidelines for setting out typography. This process draws a relationship to the arrangement of letterpress blocks in a setting out tray as the negative of what would then be inked and pressed against cartridge paper or vellum. 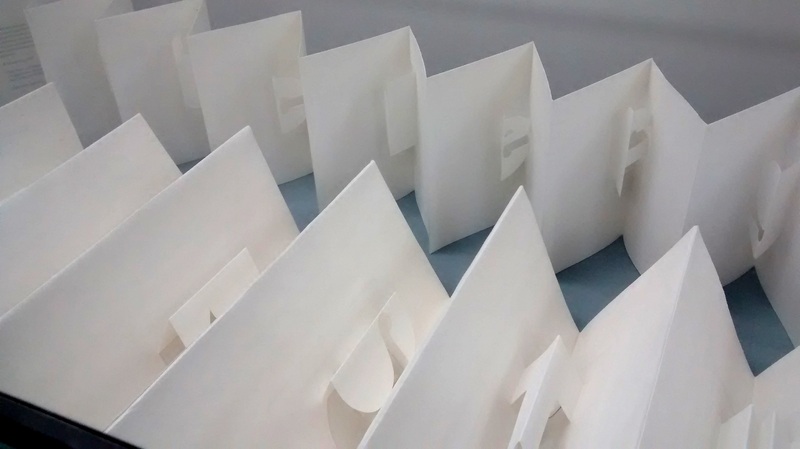 In the proposed architectural instance the arranged sheet cut metal pieces would be layered up within a larger tray and have concrete poured against to cast the inverse mould. At my final design review, Special Collections and Archives kindly allowed me to display two formes from the collection as an example of a moveable block composition and tray. This traditional process informed the origin of the concept for an architectural application.